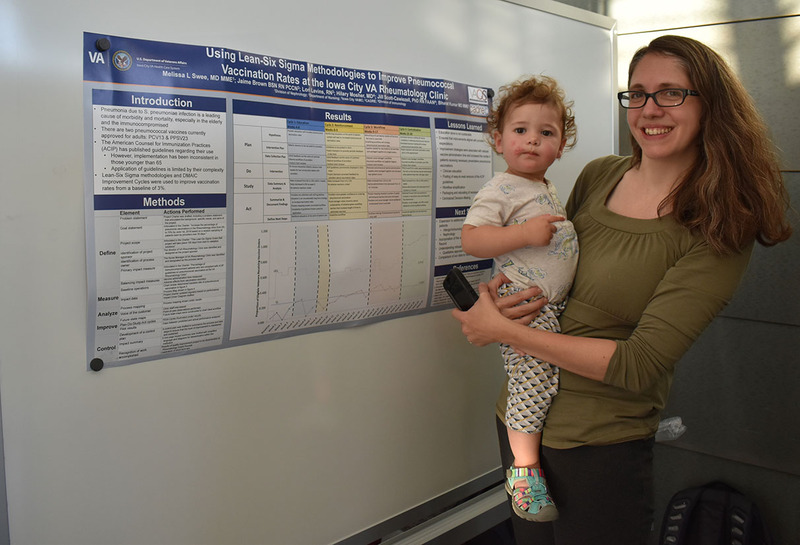 First things first: Congratulations to the winners of the poster competition. 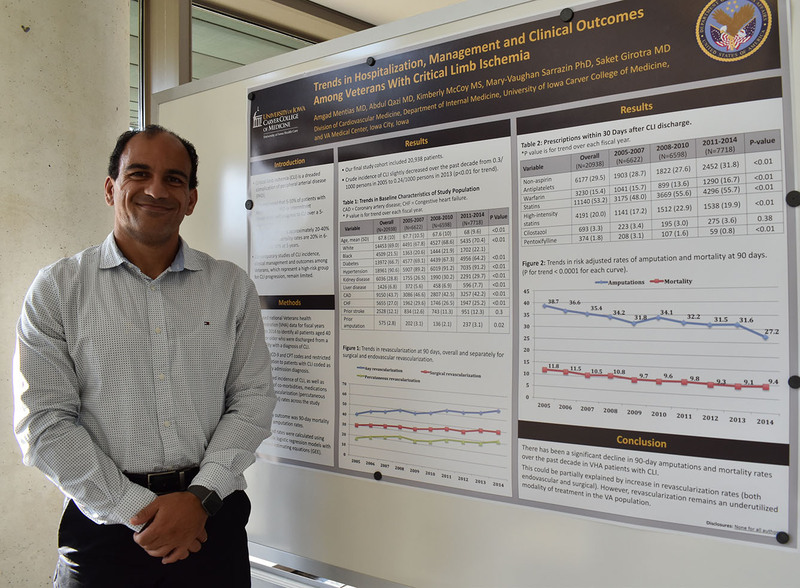 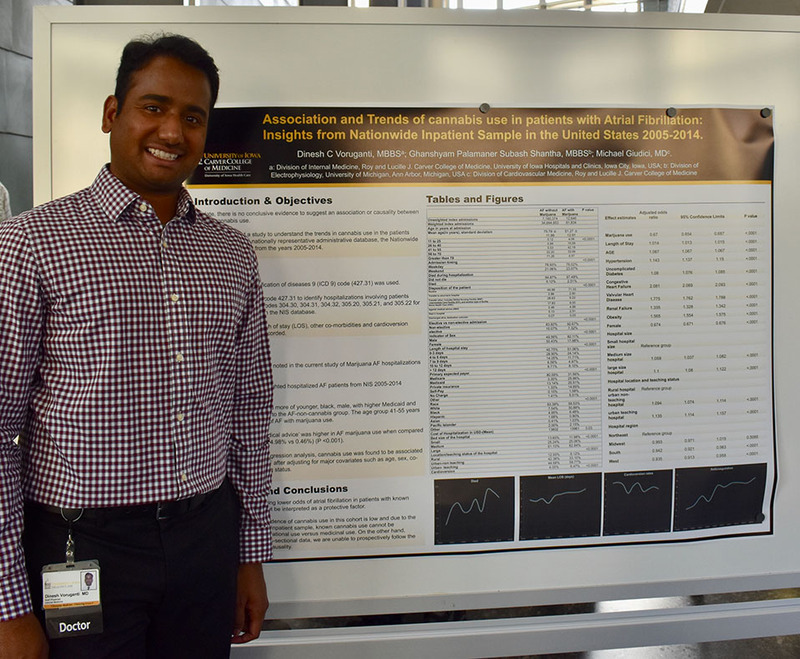 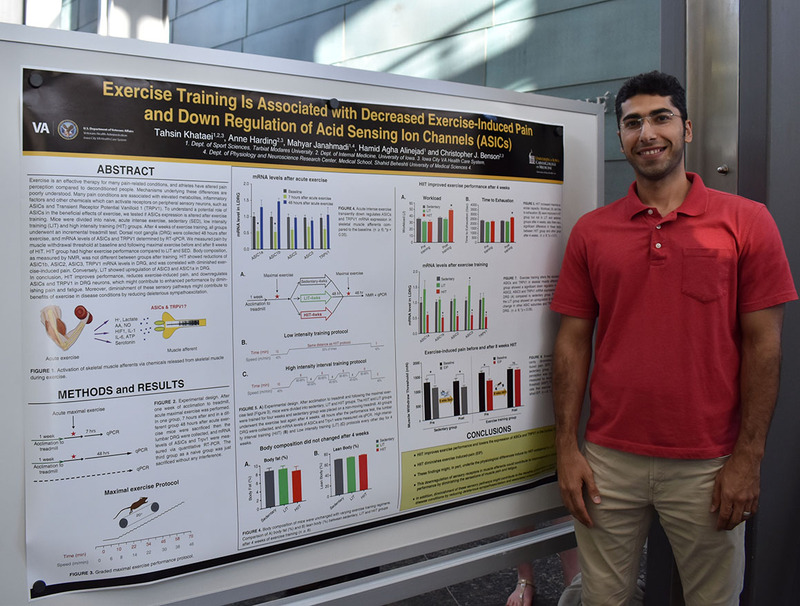 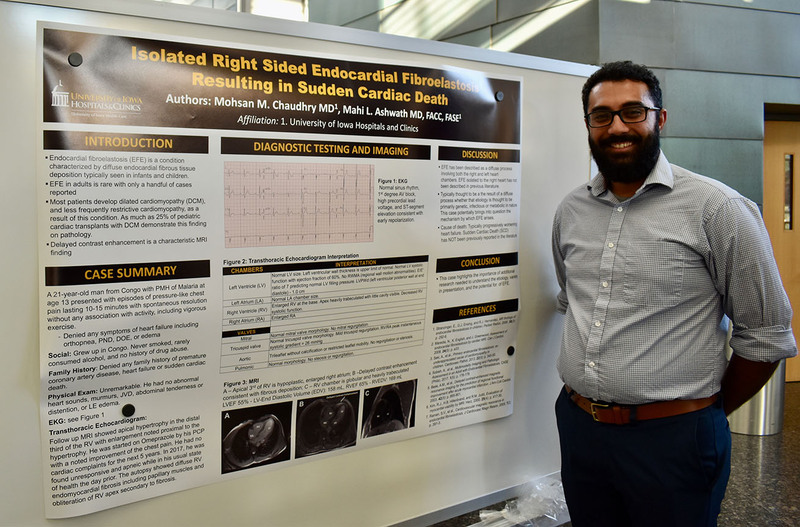 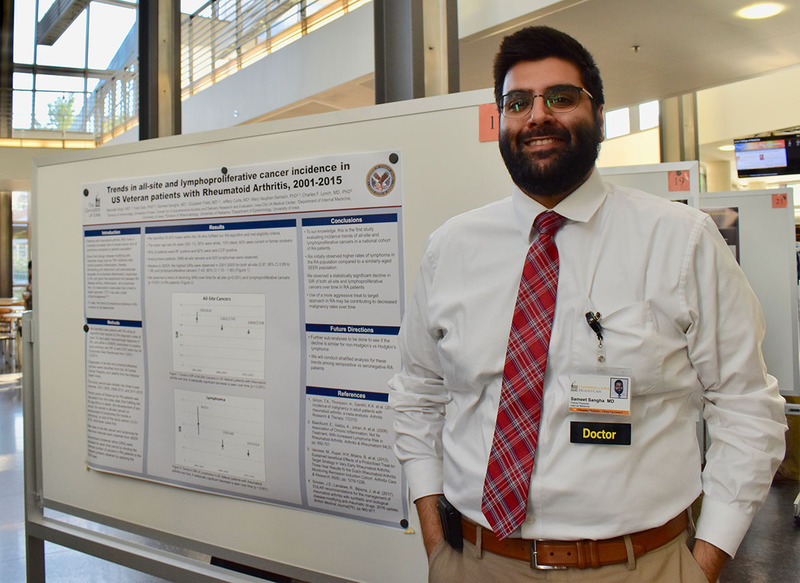 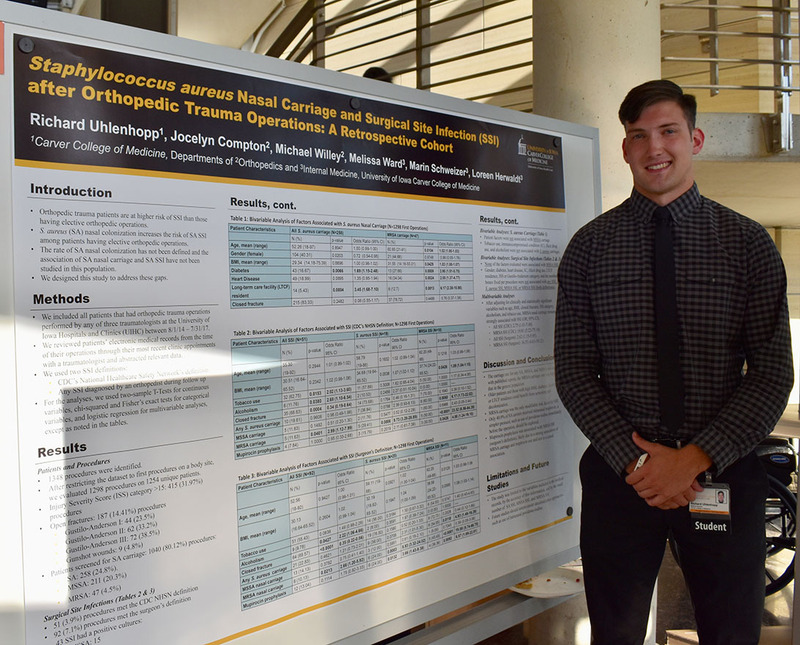 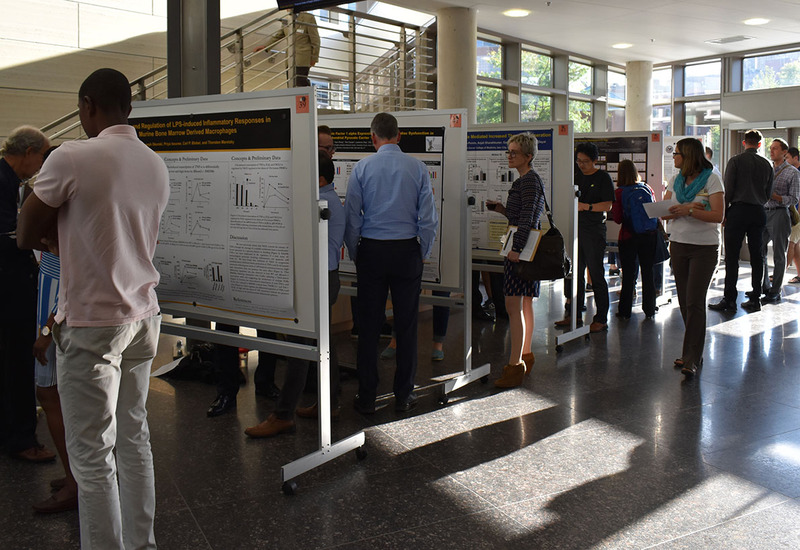 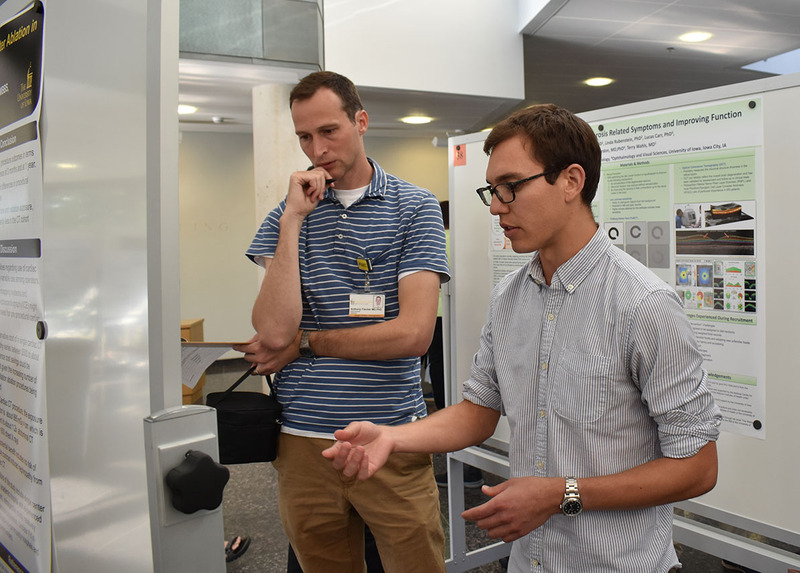 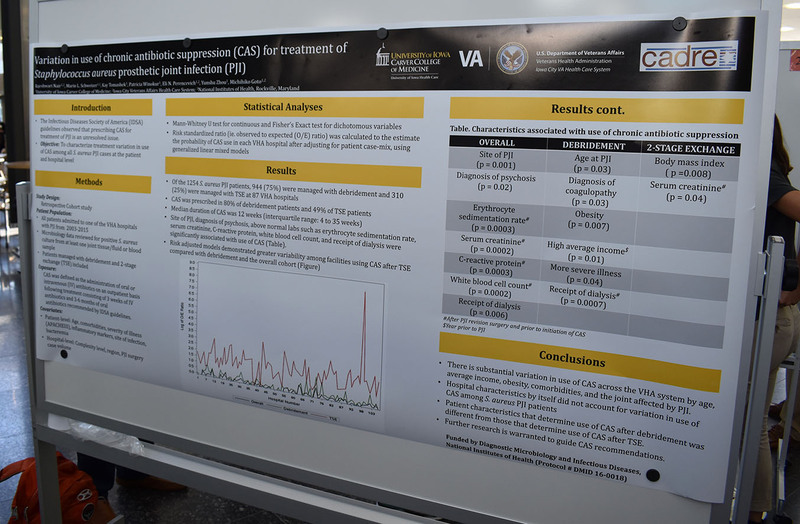 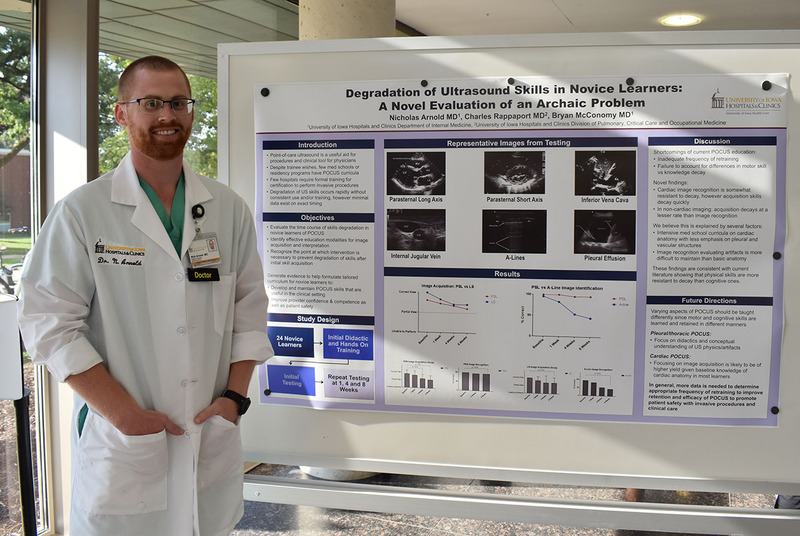 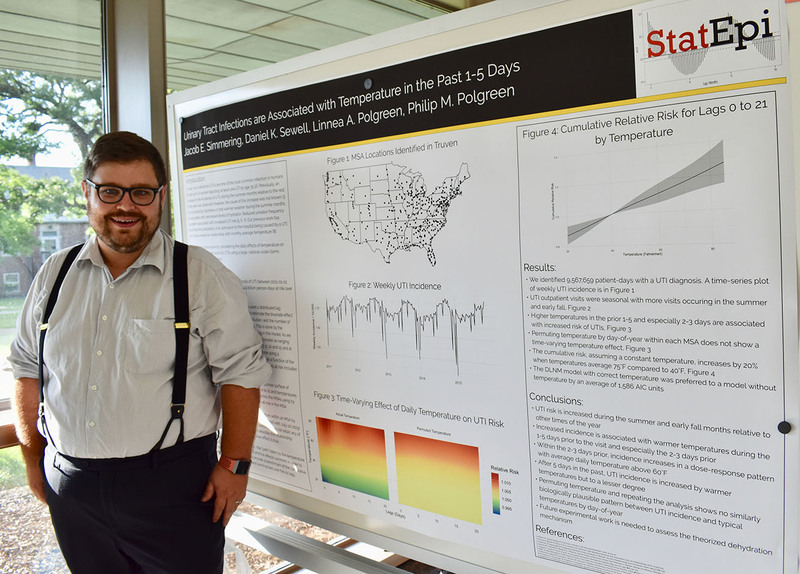 Out of an impressive 65 presented abstracts, here were those judged at the top of a remarkable display of the breadth and quality of research occurring within our department. 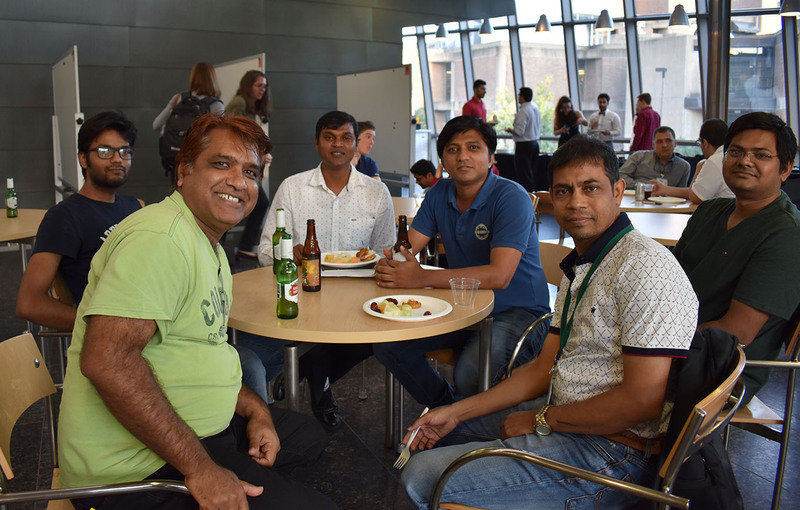 But that was how the evening came to an end. 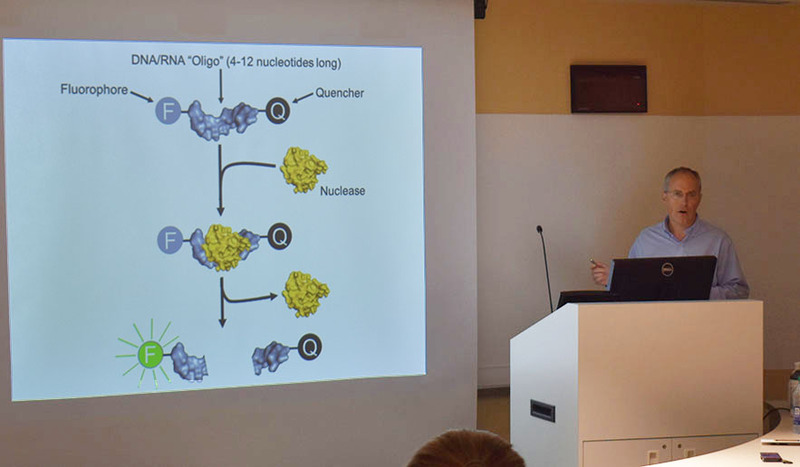 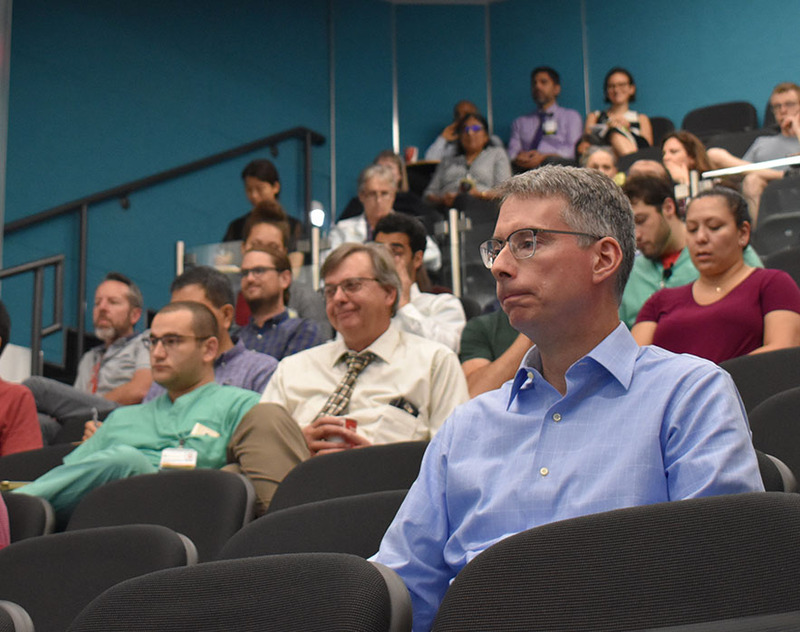 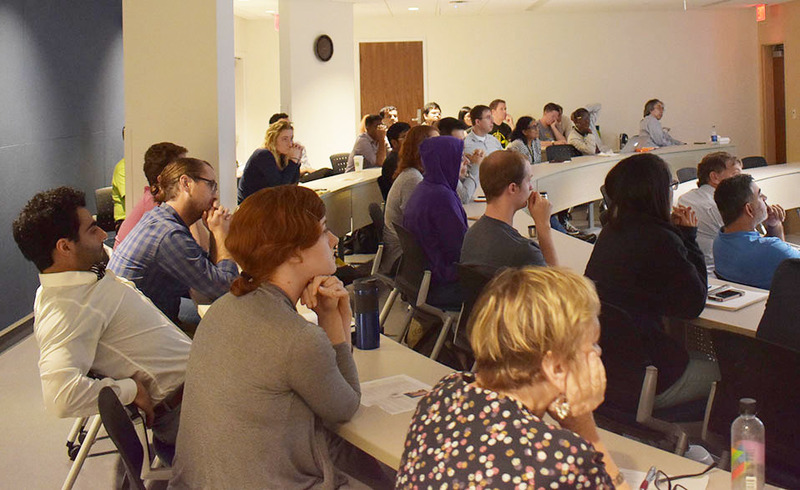 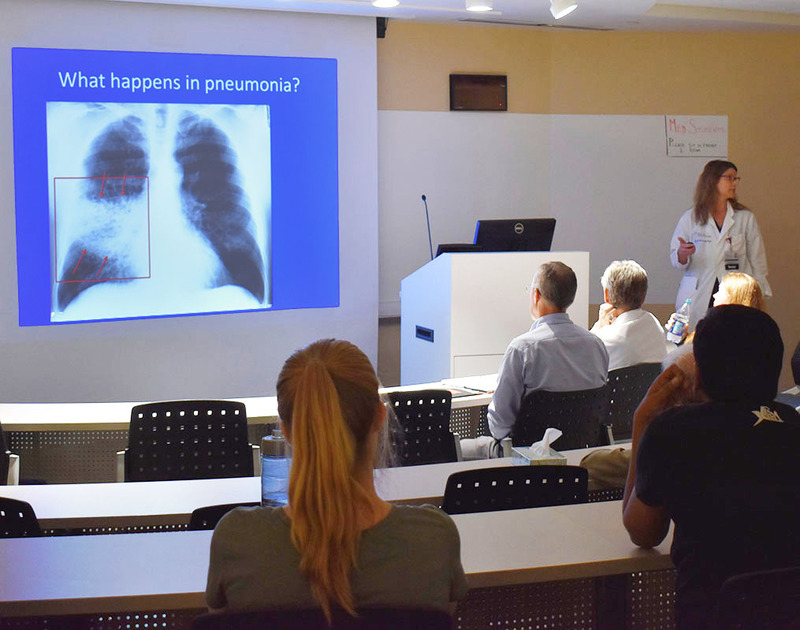 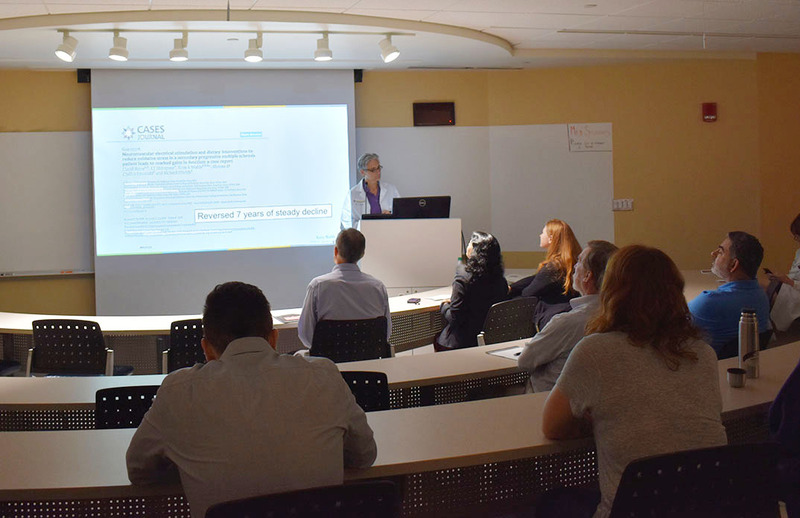 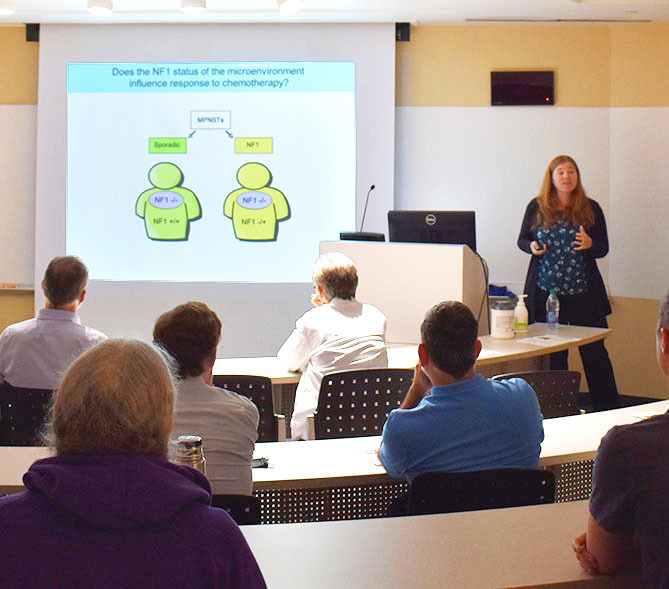 Every Research Day begins with an hour of short presentations of exciting new discoveries, similar to what occurs in our monthly Research Seminar Series. 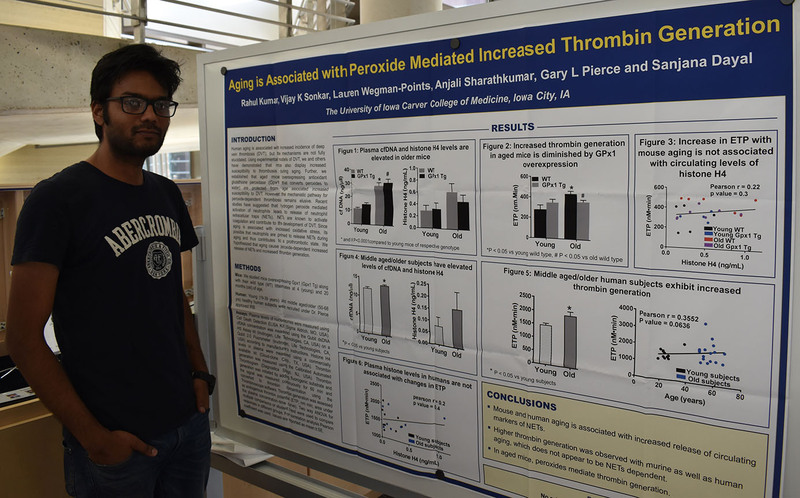 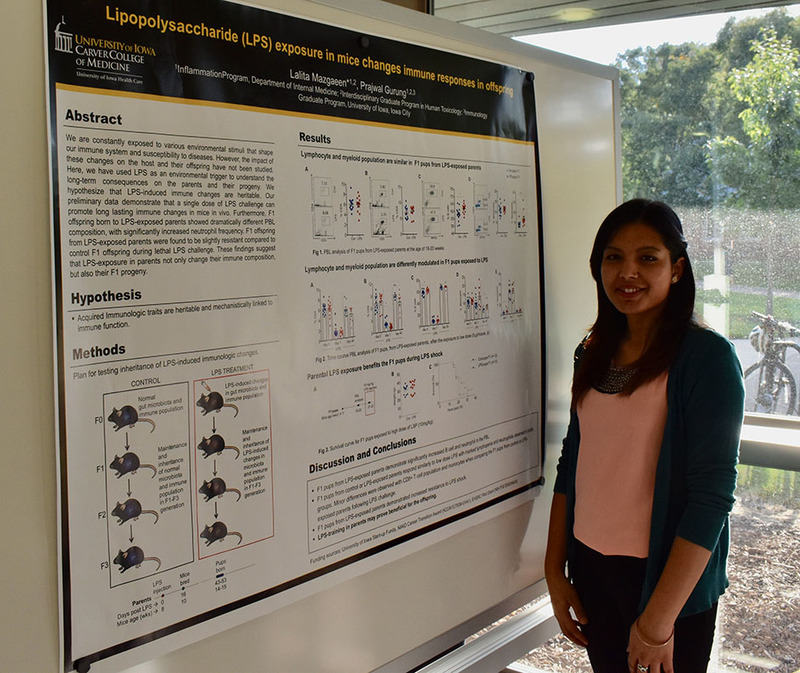 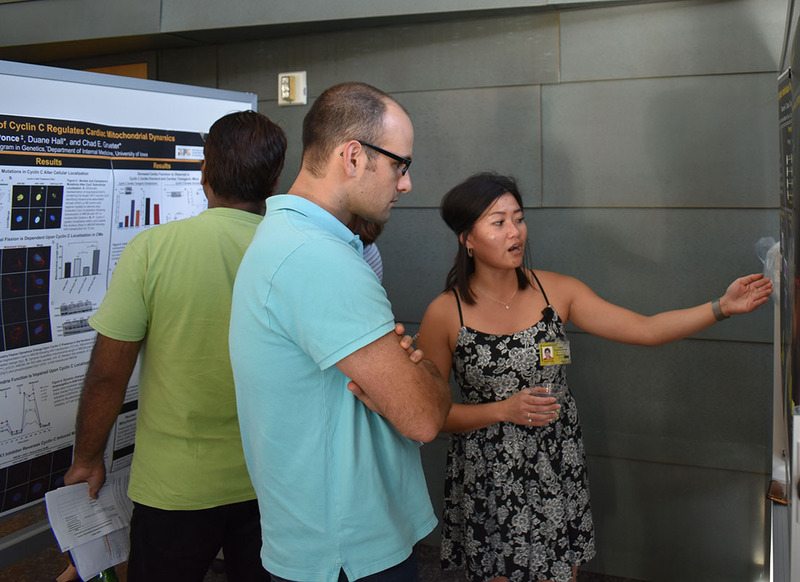 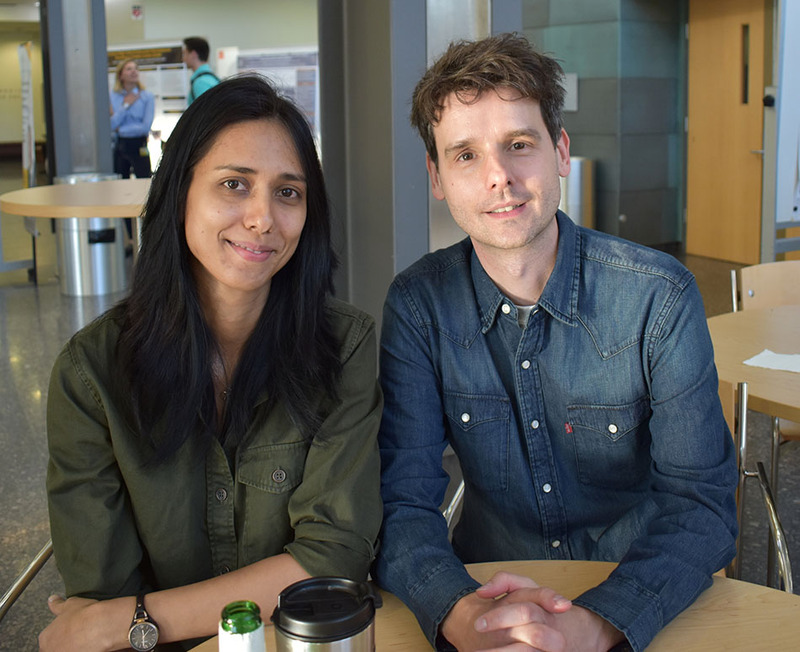 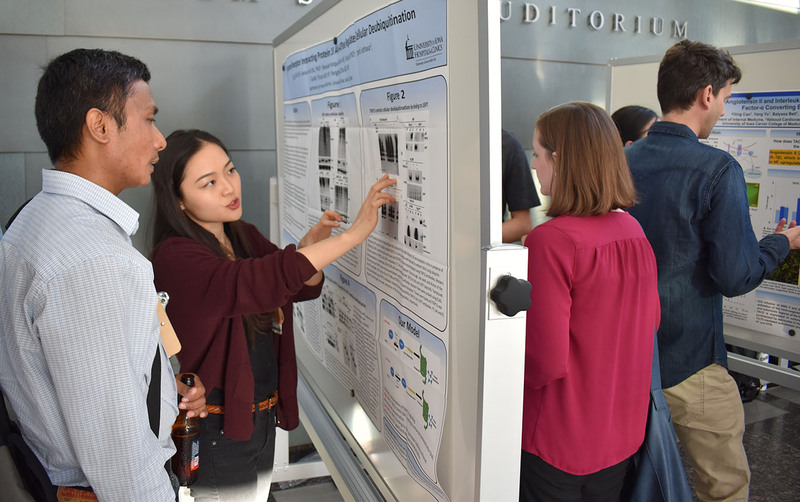 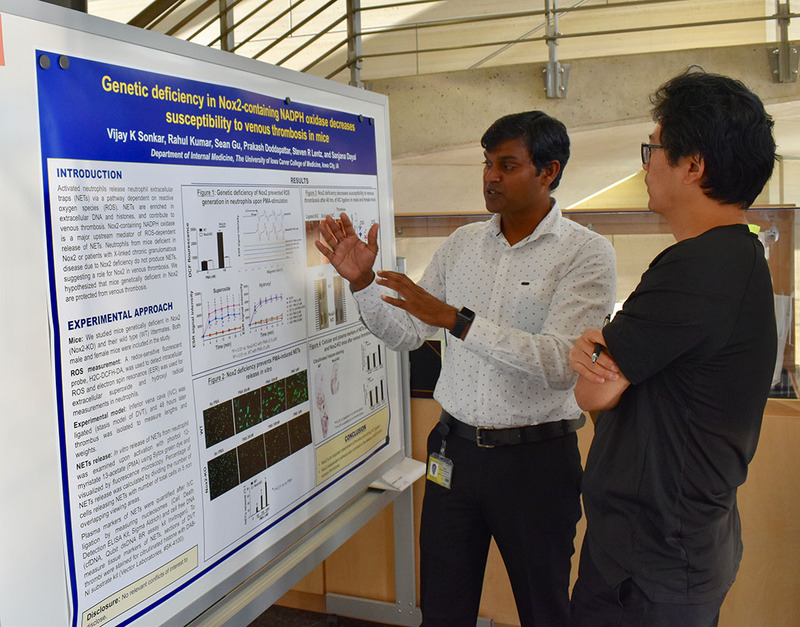 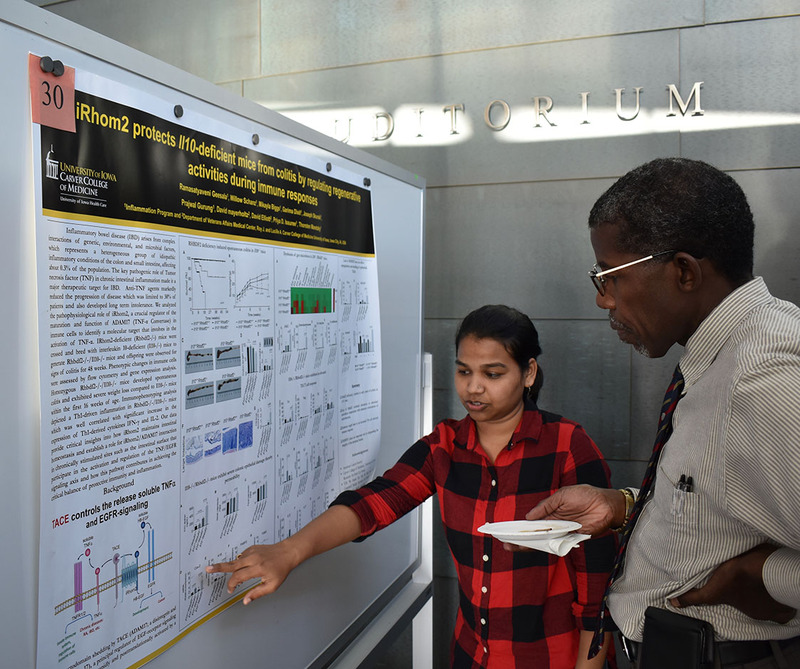 This year, Dr. Sanjana Dayal curated a cross-section of cutting-edge research from within the department. 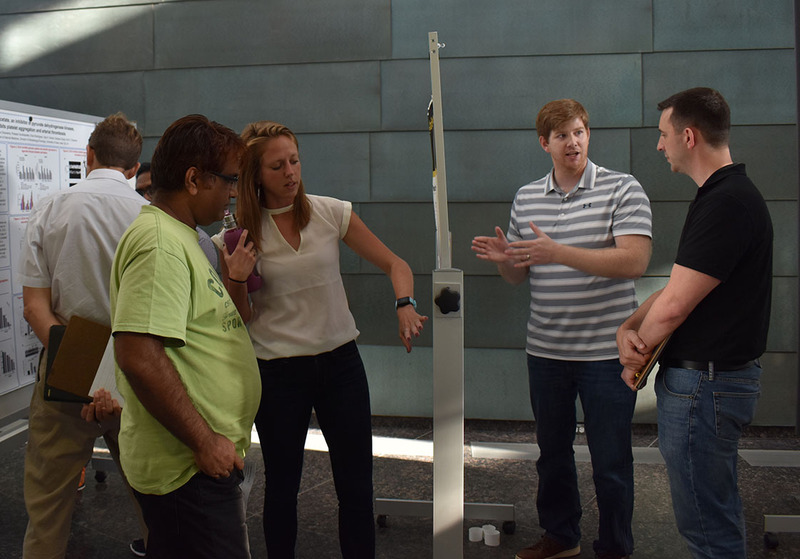 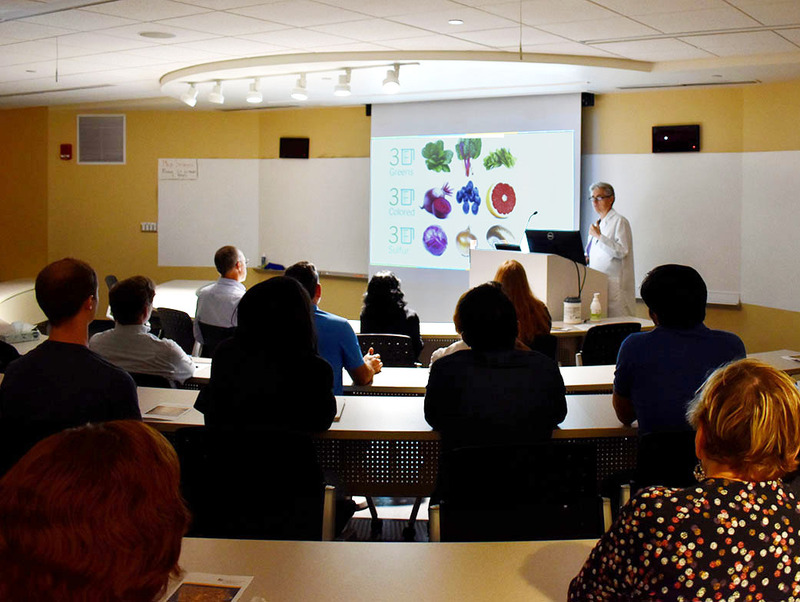 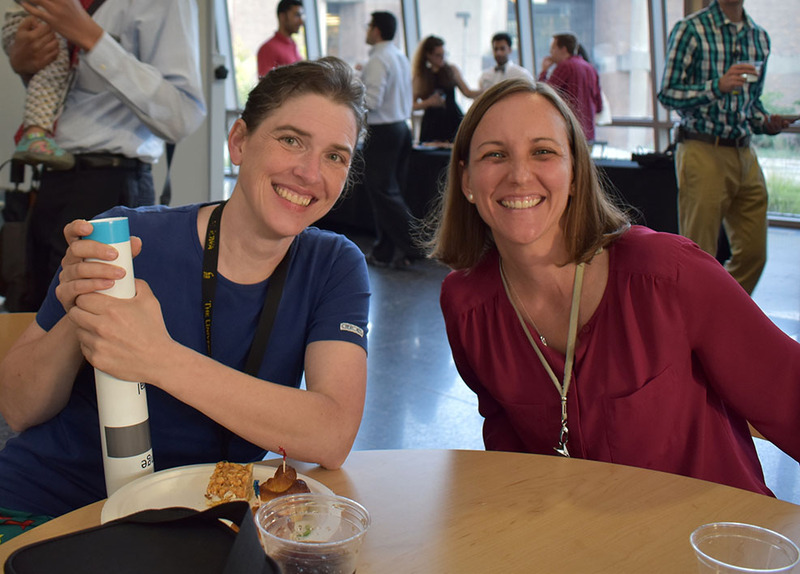 Attendees saw data and dramatic video footage from Dr. Terry Wahls revealing how diet is increasing mobility and reducing fatigue in people with multiple sclerosis. 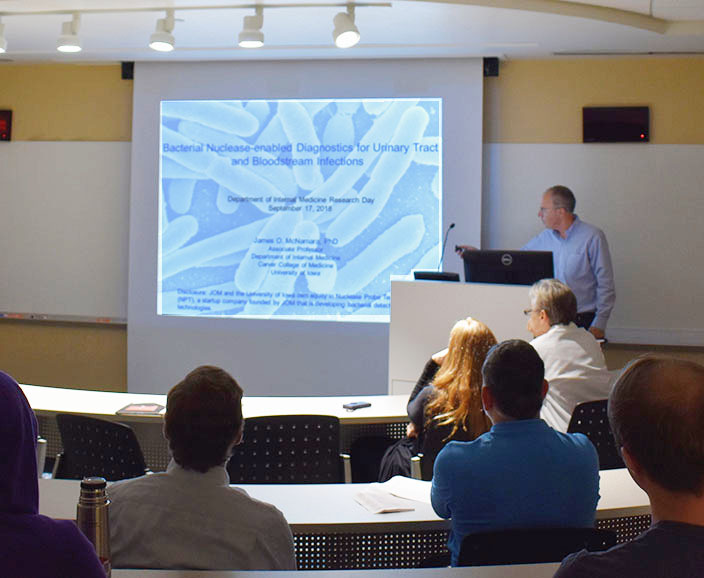 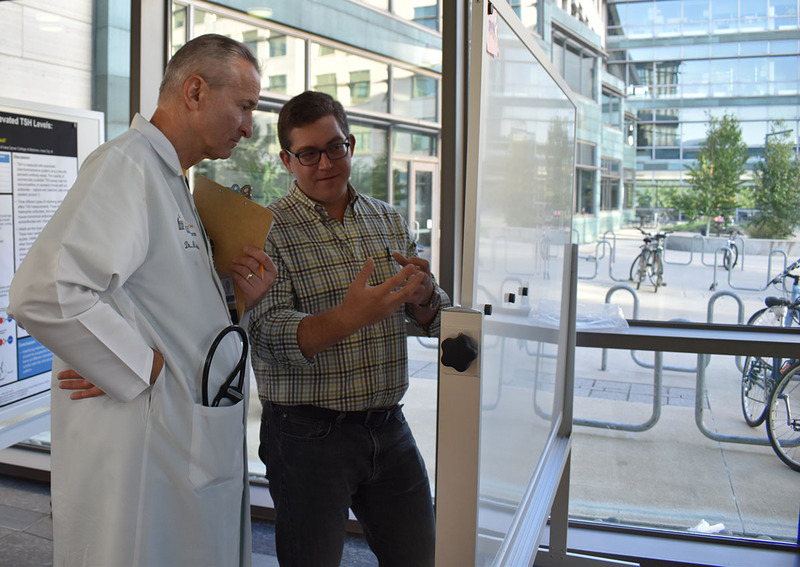 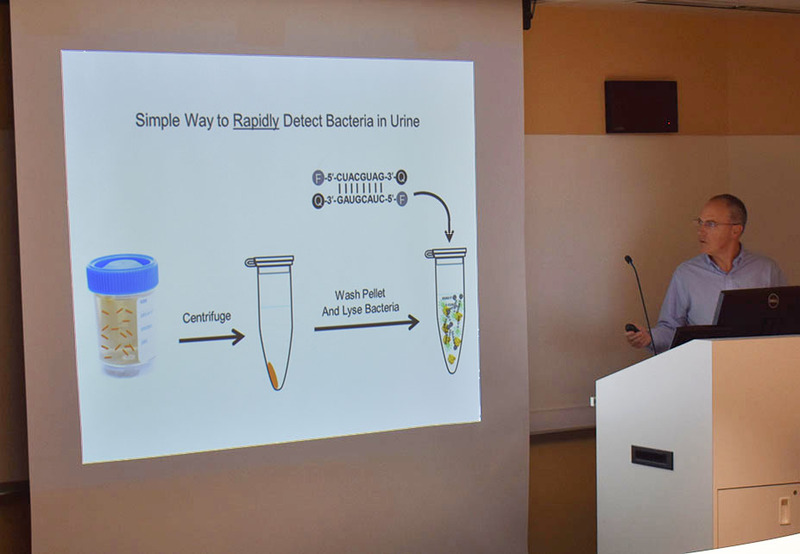 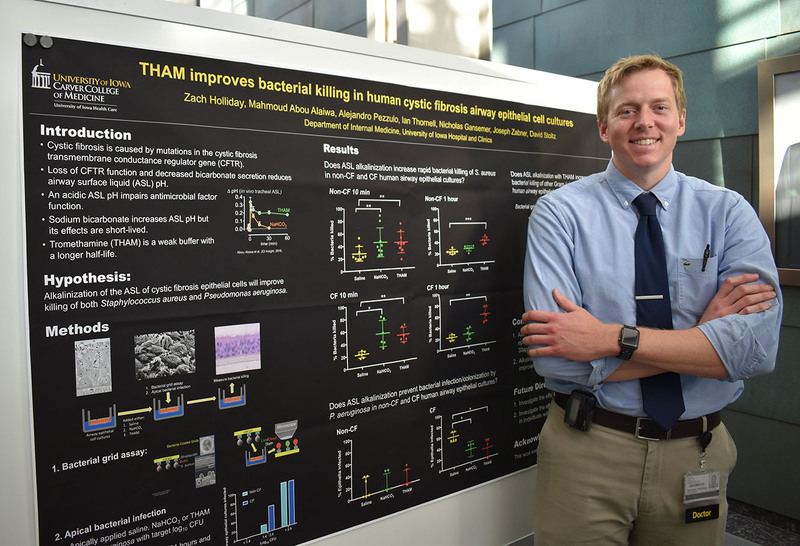 Dr. James McNamara described the use of bacteria to more rapidly and effectively test for UTIs and bloodstream infections. 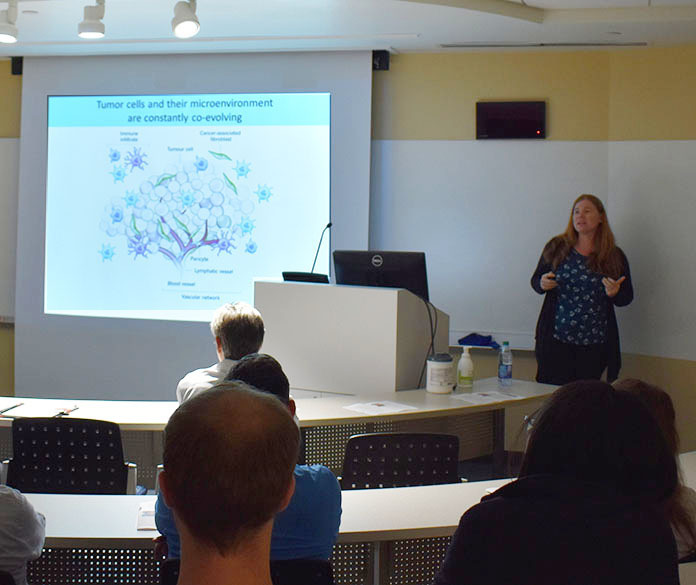 Dr. Rebecca Dodd is using CRISPR/Cas9 and Cre/loxP to better understand myeloid cells and their role in cancerous tumors on nerves. 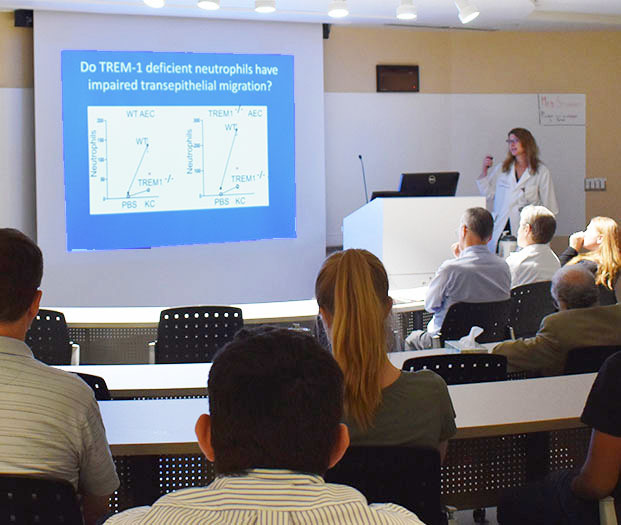 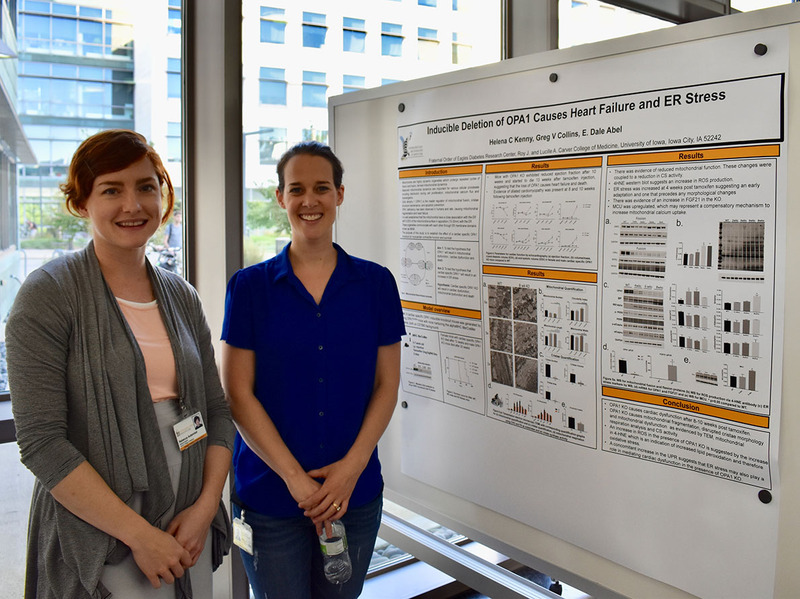 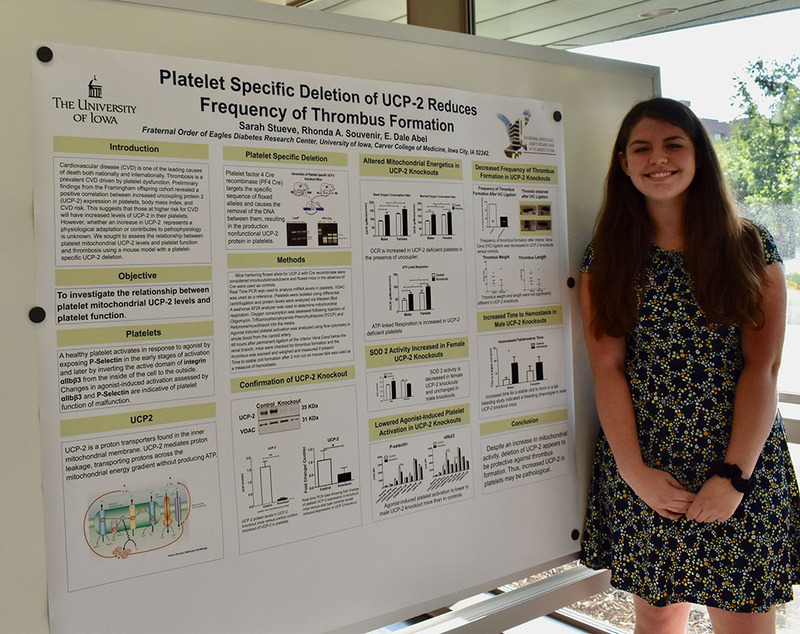 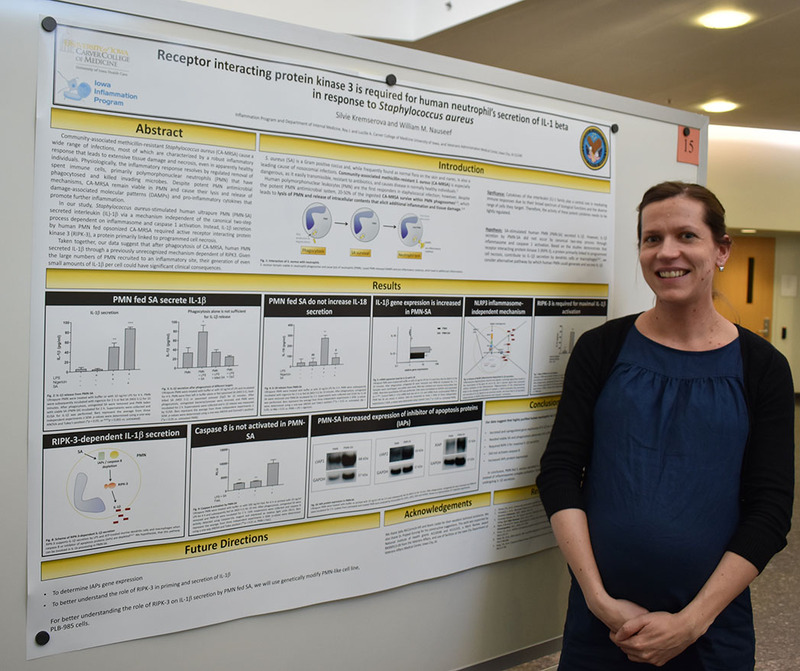 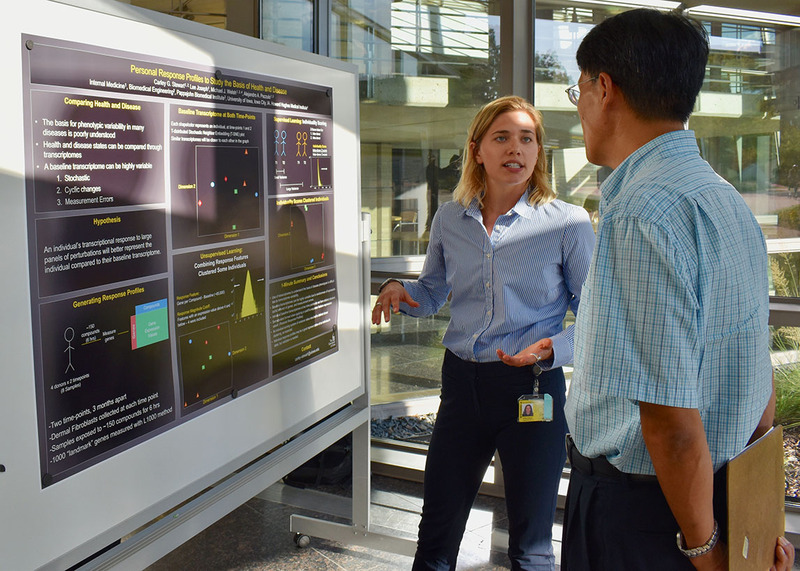 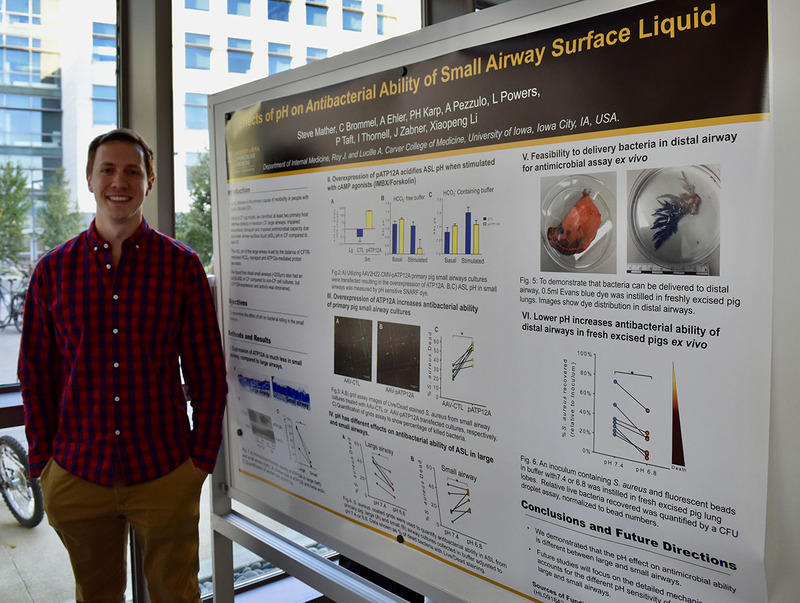 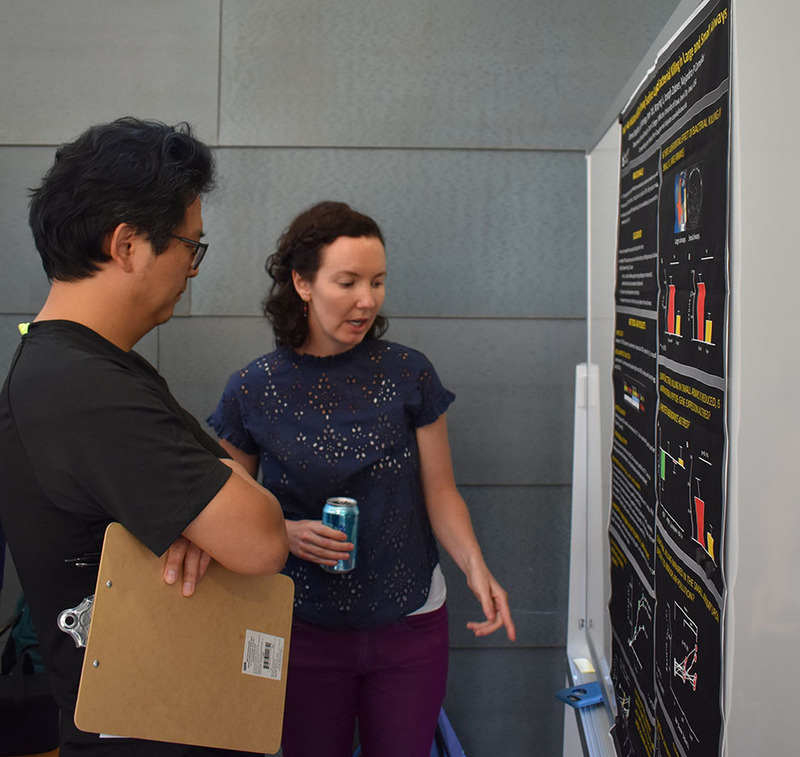 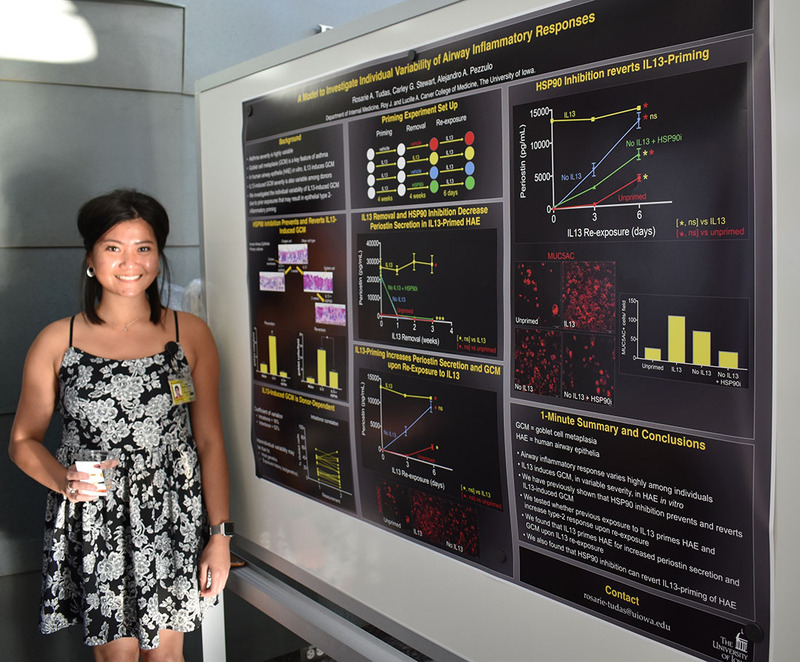 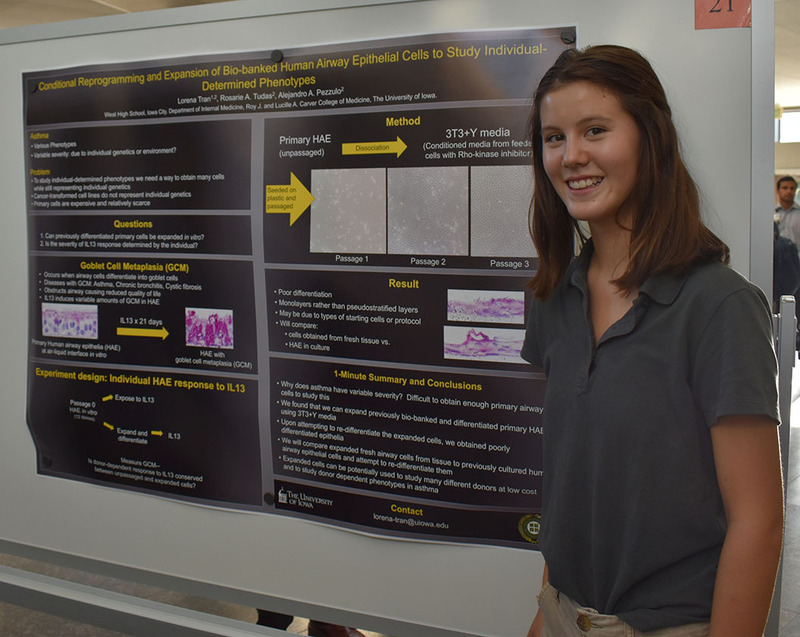 Dr. Julia Klesney-Tait is investigating the connection between a triggering receptor and neutrophil activity in the development of lung tumors. 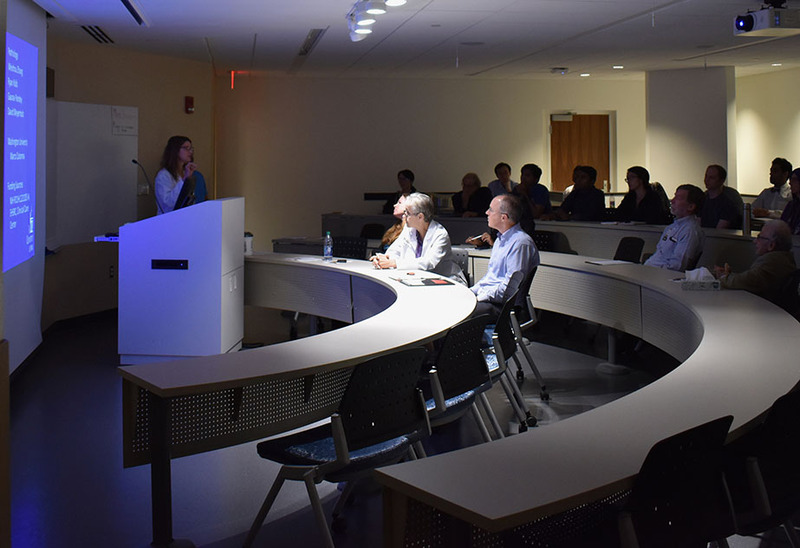 Each presentation was followed by brief questions from audience members. 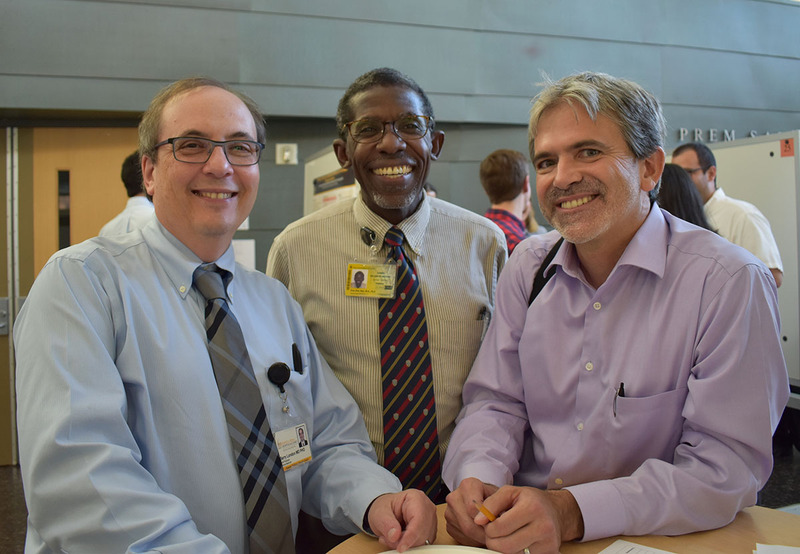 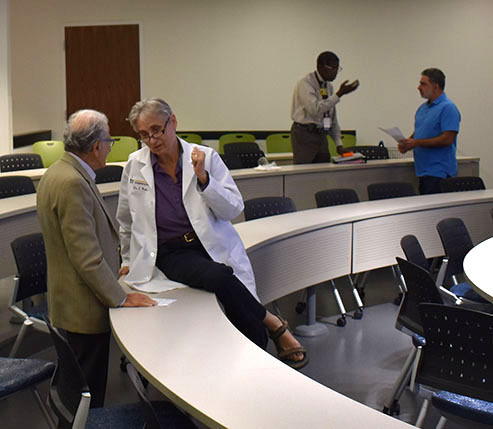 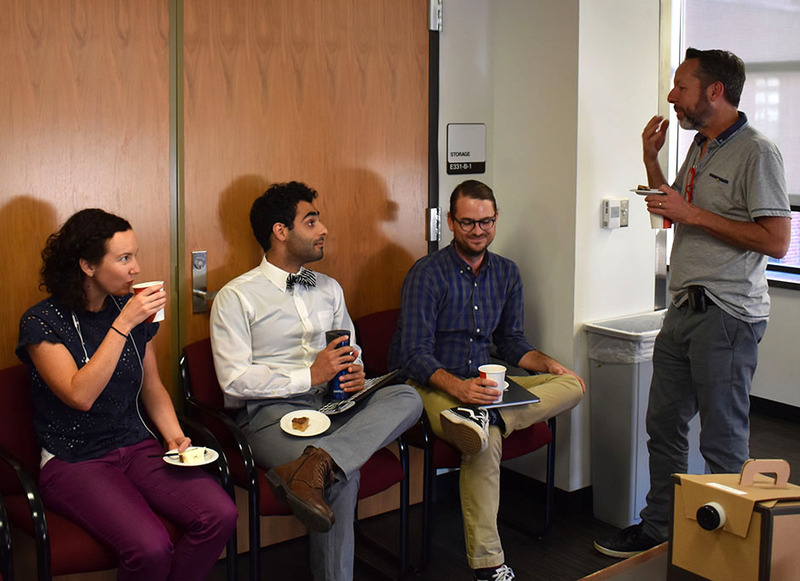 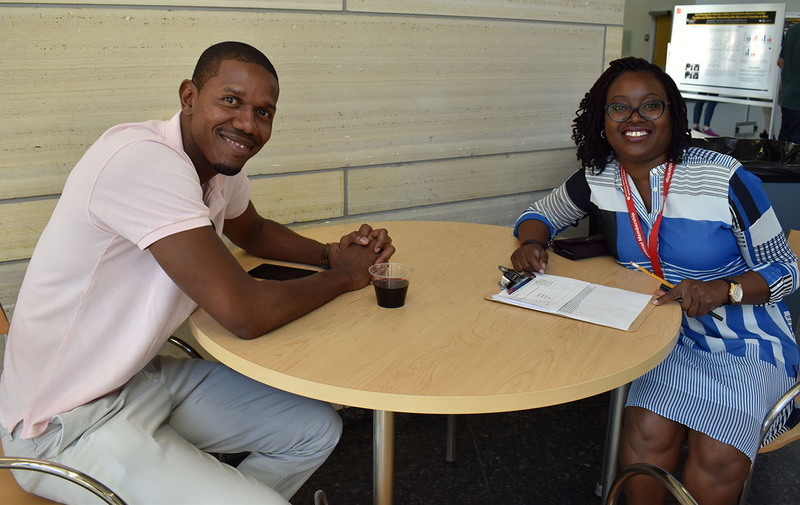 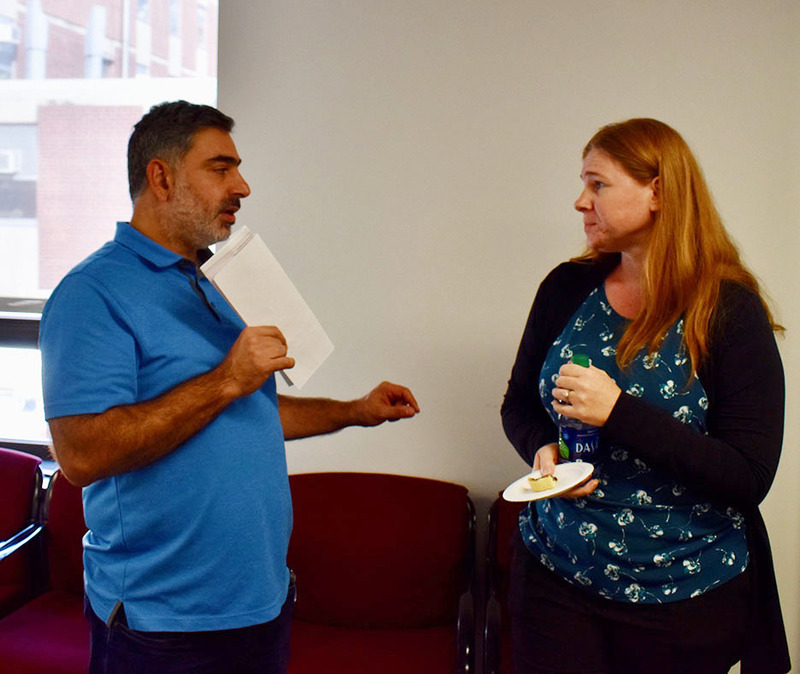 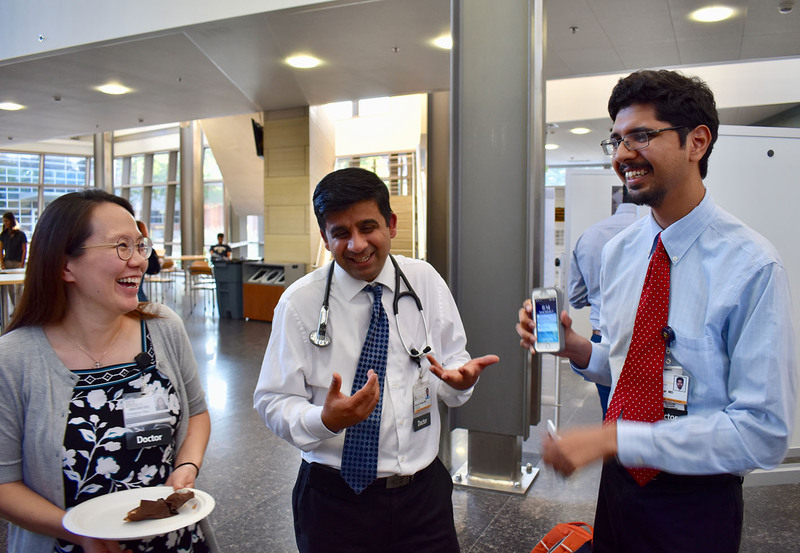 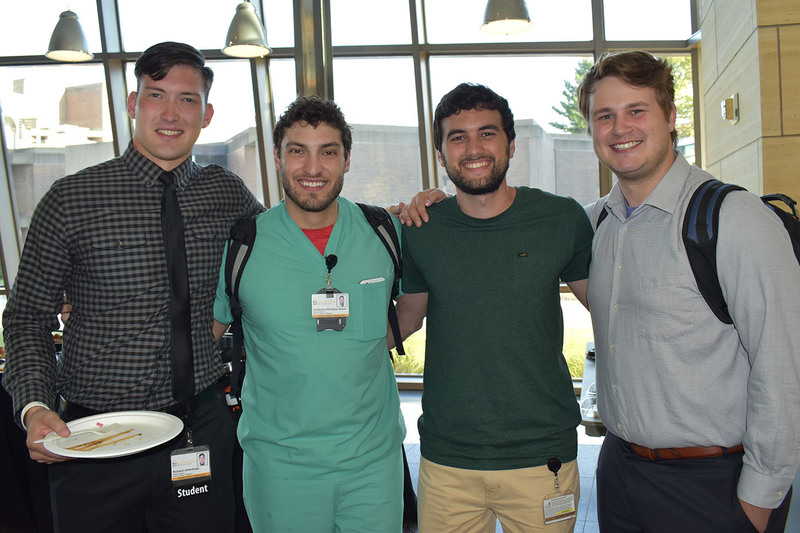 Conversations about their work were continued over some light refreshments in the hall behind Medical Alumni Auditorium before Research Day’s keynote presentation began. 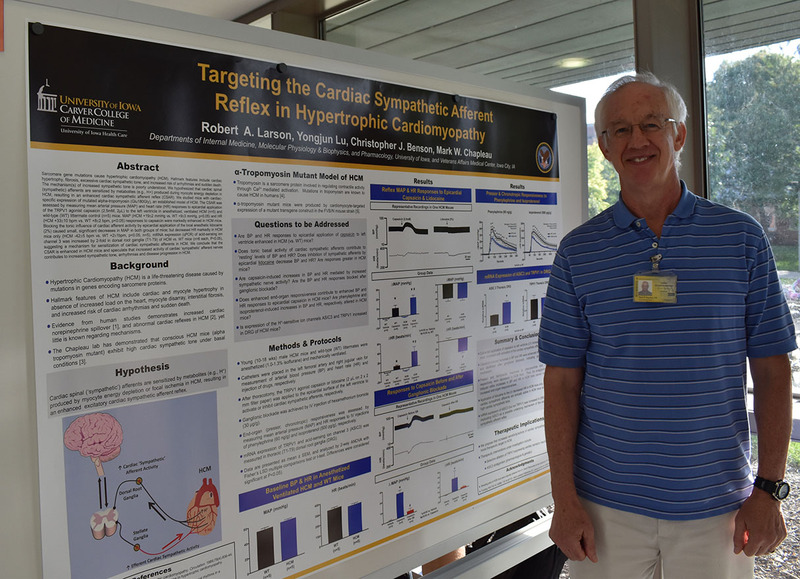 This year, conference organizers invited Stephen J. Forman, MD, to present. 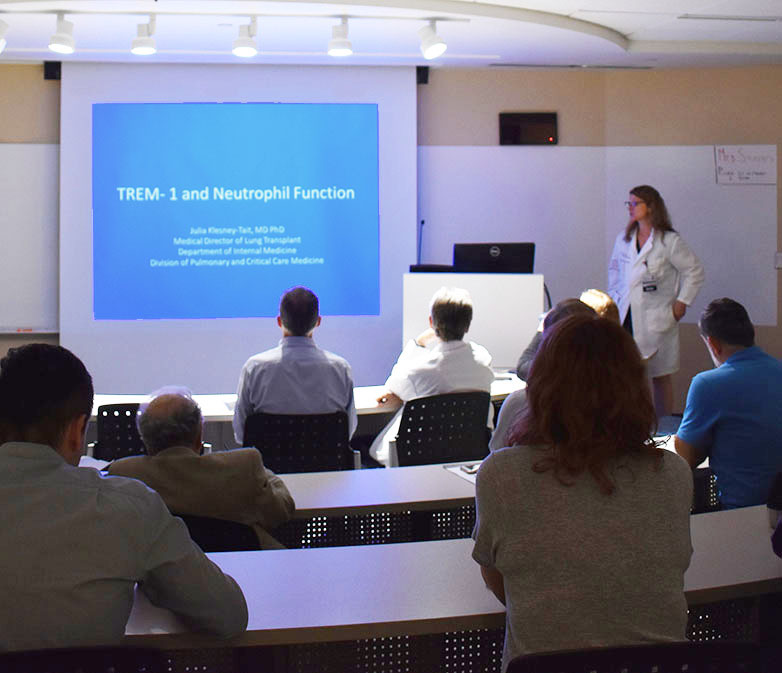 Dr. Forman is the Francis & Kathleen McNamara Distinguished Chair in Hematology and Hematopoietic Cell Transplantation and leader of the Hematologic Malignancies and Stem Cell Transplantation Institute. 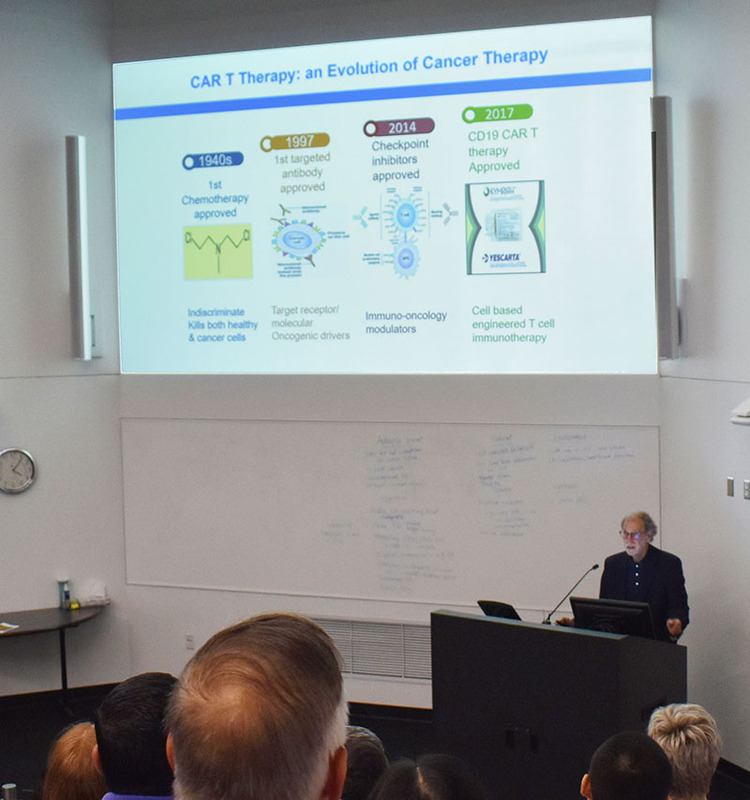 At City of Hope National Medical Center, a Comprehensive Cancer Center like our own Holden Comprehensive Cancer Center, Dr. Forman has been instrumental in advancing survival rates for blood disorders and is currently focused on immunotherapy. 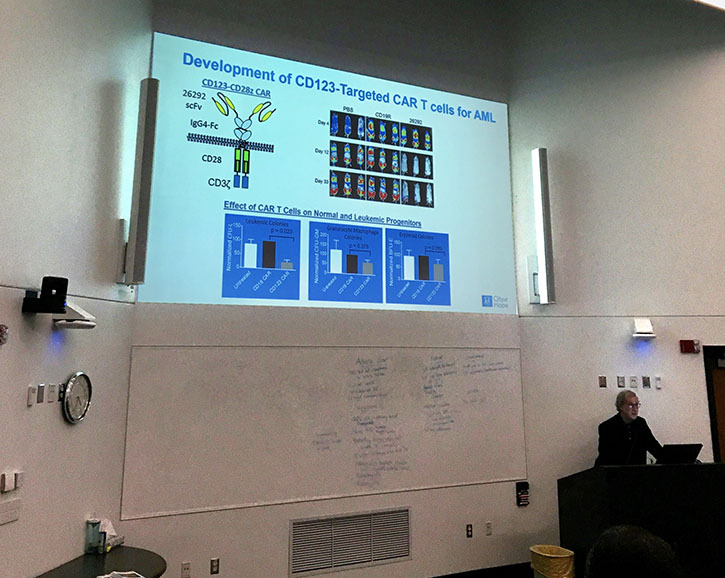 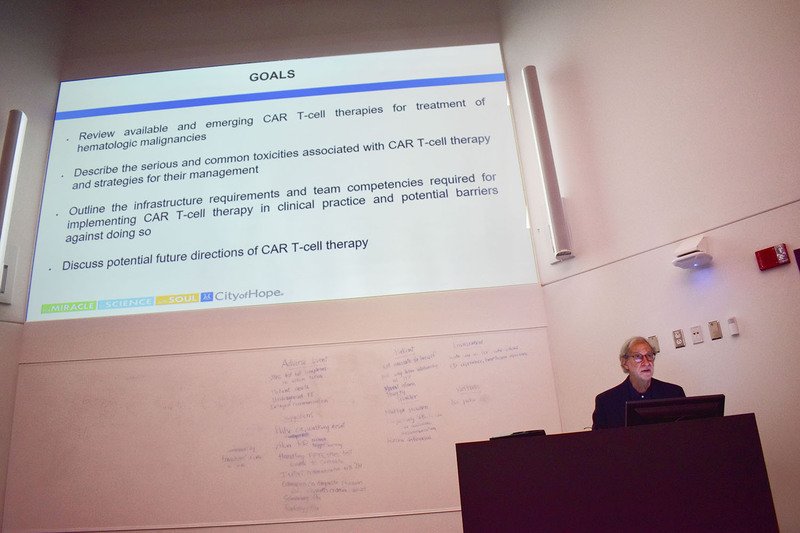 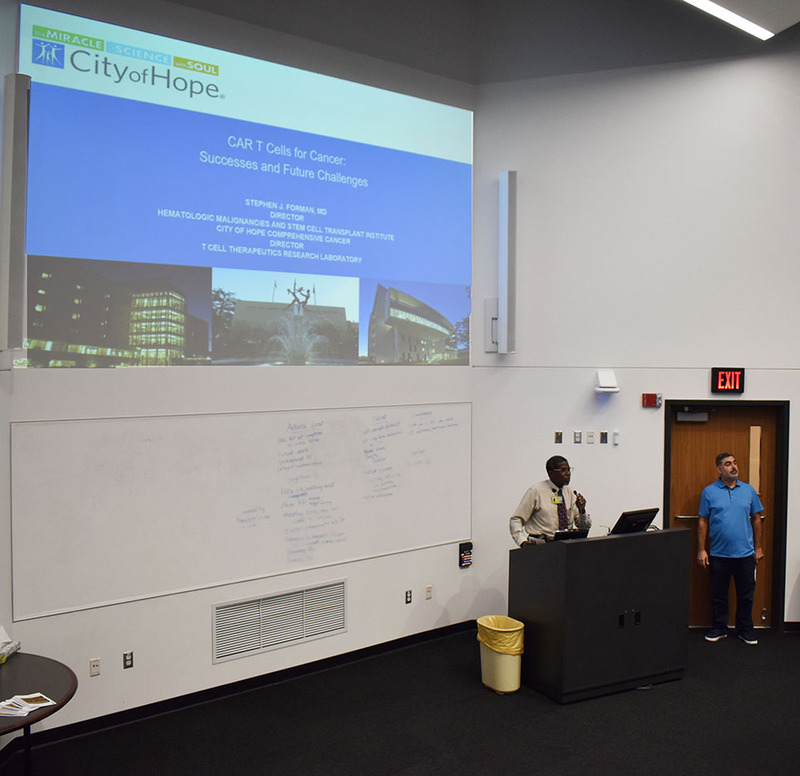 Dr. Forman’s presentation was on CAR T-cell therapy, using the body’s own immune system to attack cancer by training T-cells to seek and destroy cancerous cells. 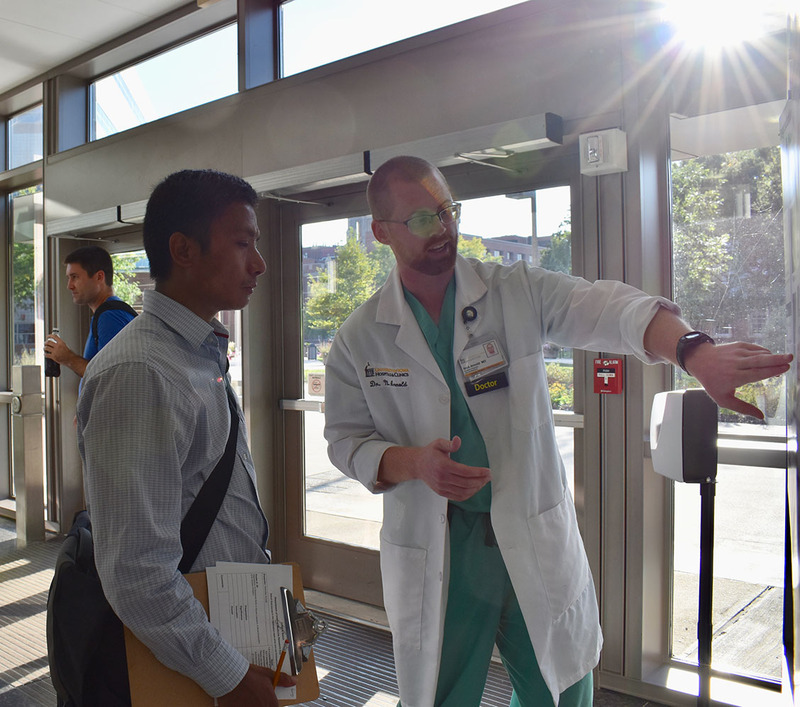 (University of Iowa Health Care is one of the few other sites in the nation to also offer this new treatment.) 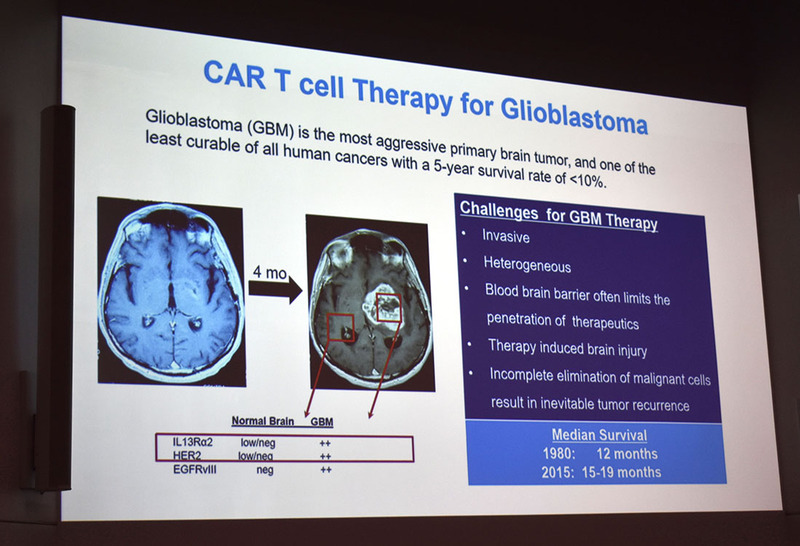 Dr. Forman gave a clear picture of the progression, recent successes, and future challenges contained within this cutting-edge new treatment. 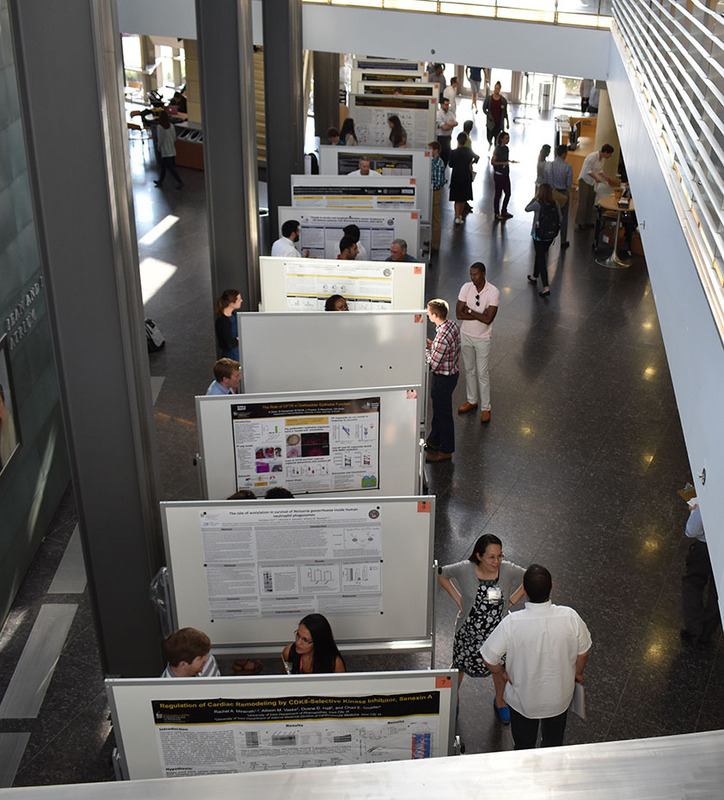 Then it was time for the posters and some food and drink. 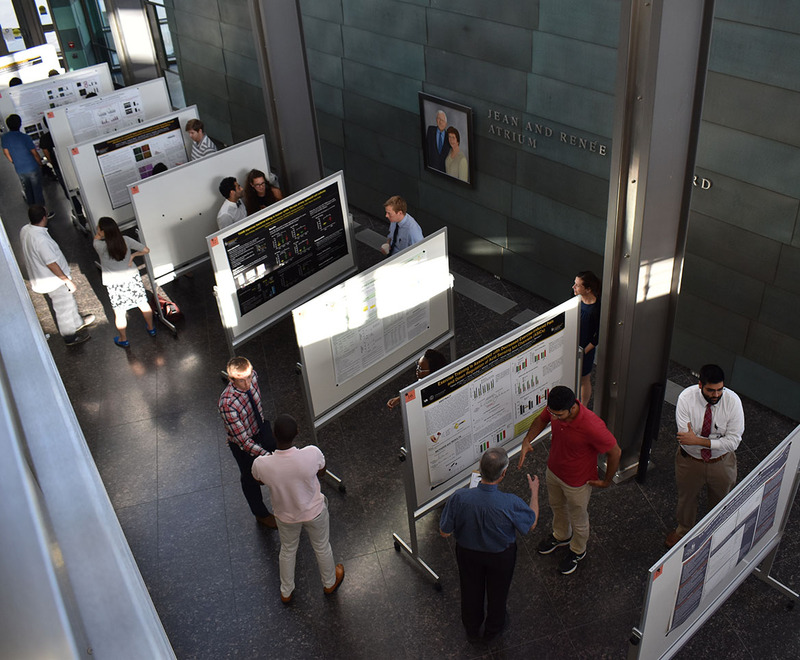 Researchers stood by their boards and described their findings for judges and colleagues alike. 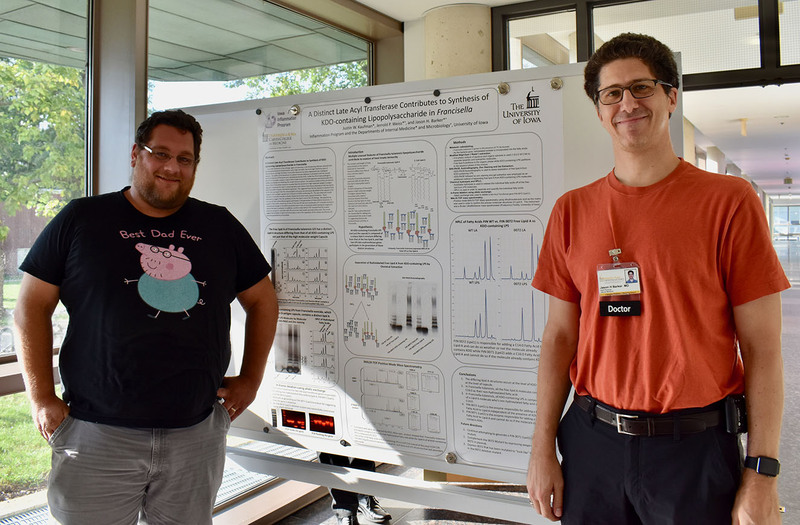 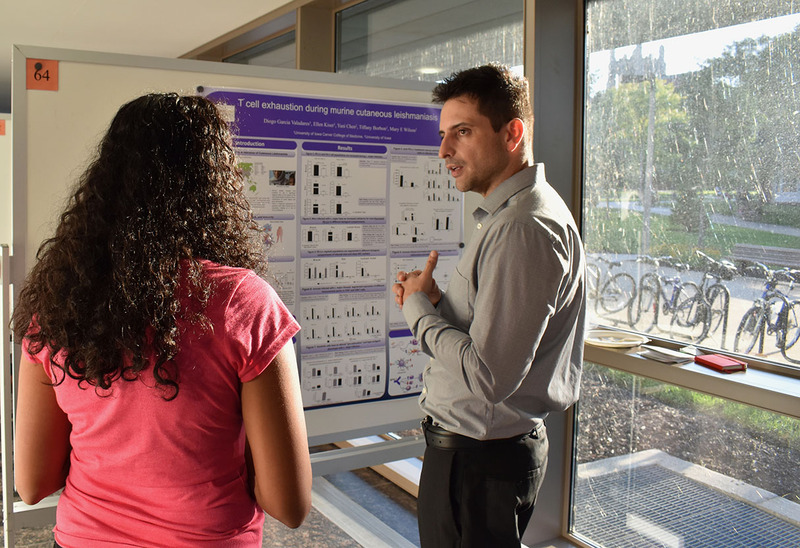 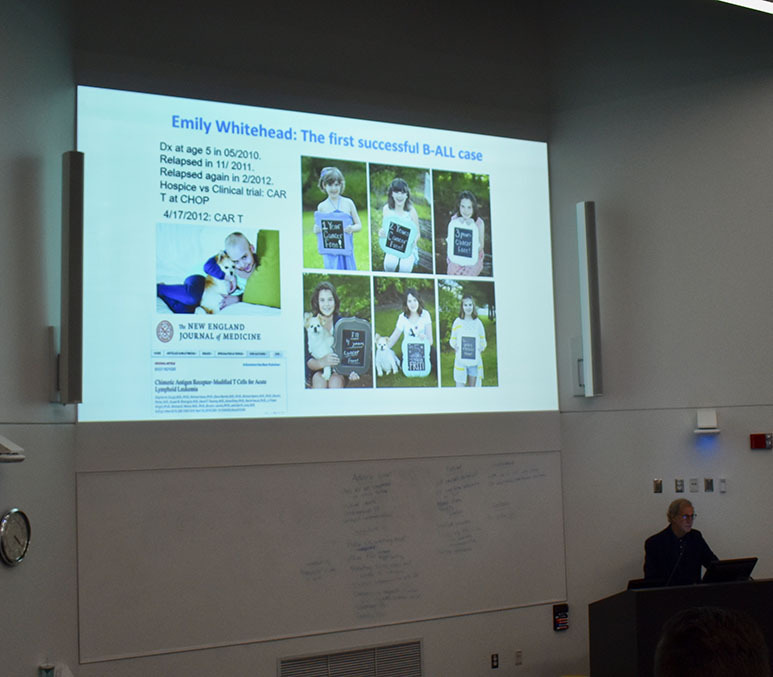 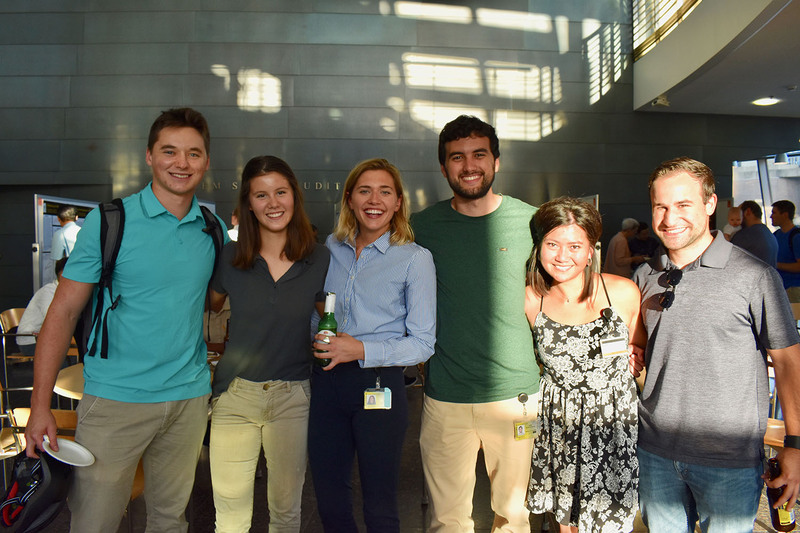 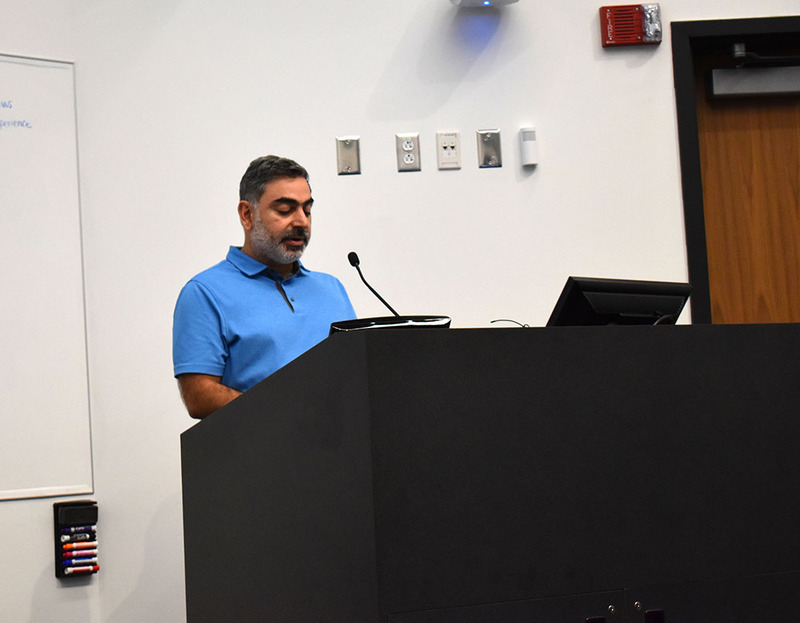 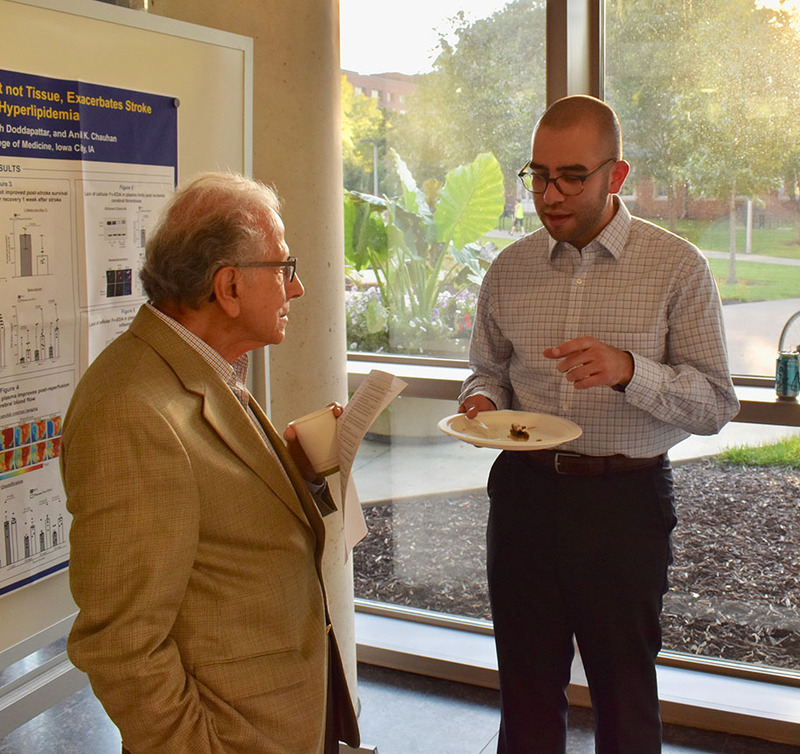 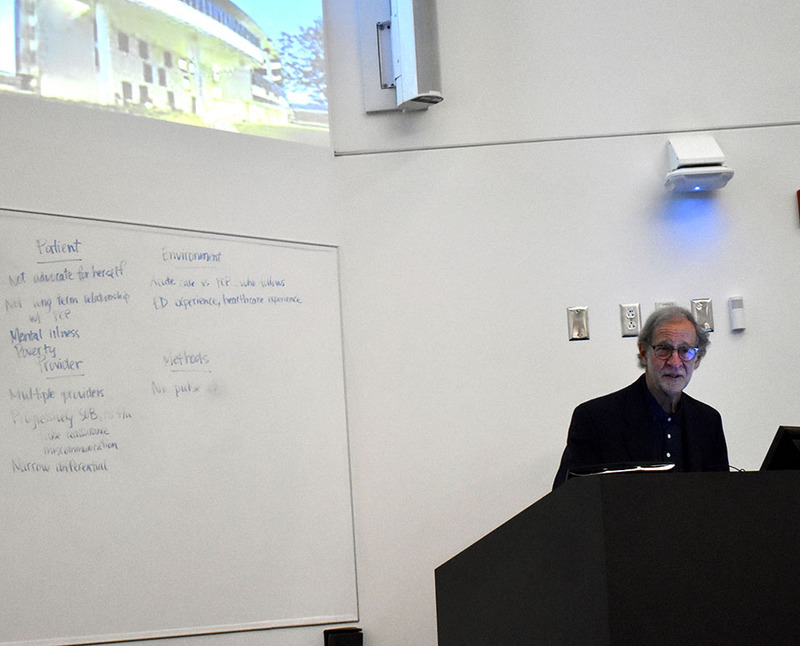 Historically, Dr. François Abboud described to us, Research Day has been intended as a safe proving ground for young investigators to hone their talks before moving on to the national stage at society meetings around the nation and globe. 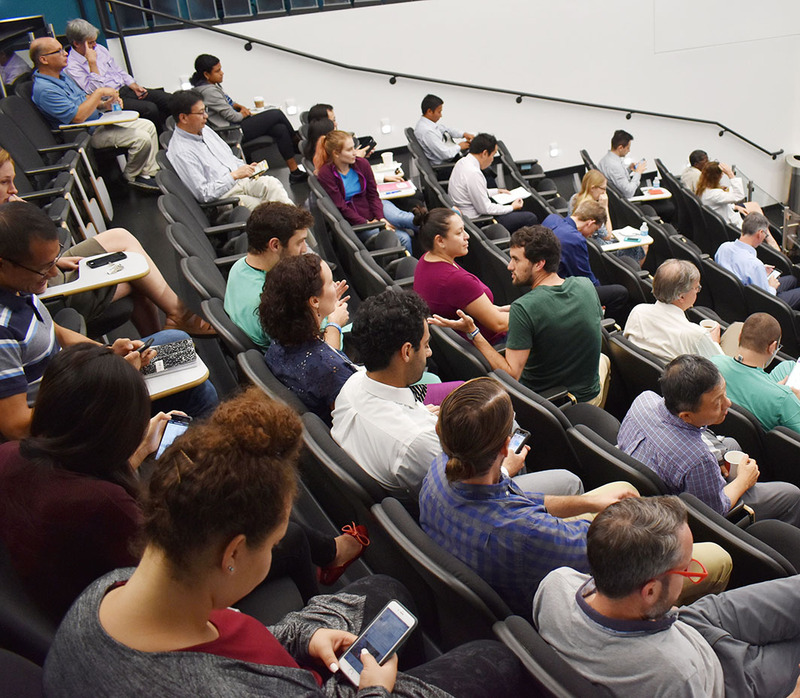 The sight of engaged and curious questions and intense conversations last Monday afternoon indicates that this tradition continues to this day. 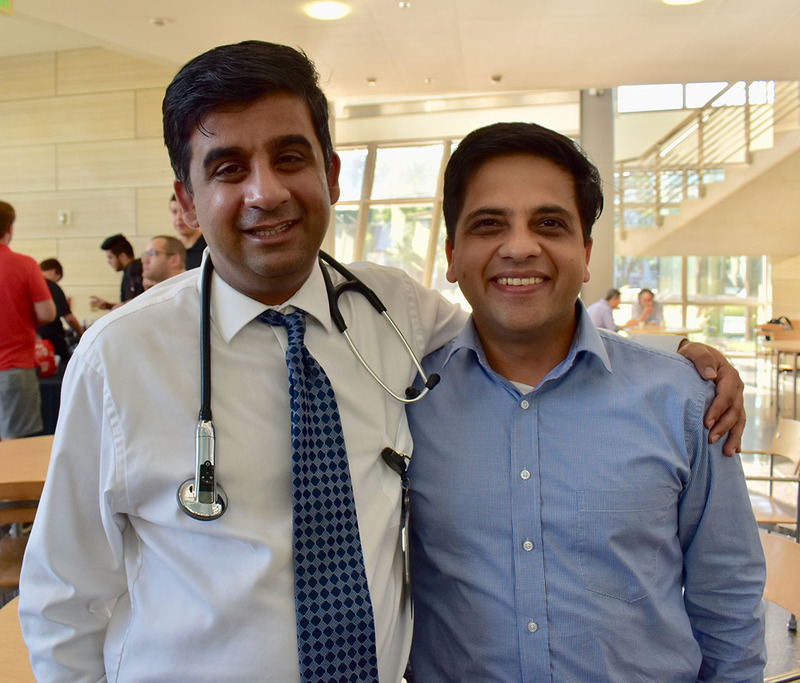 Congratulations to Drs. 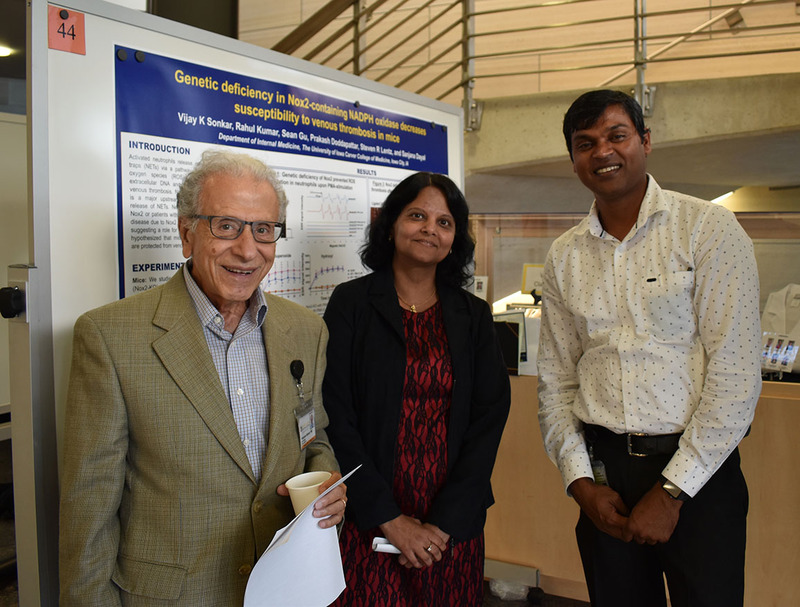 Mo Milhem, Palmoa Giangrande, and Sanjana Dayal on a successful event. 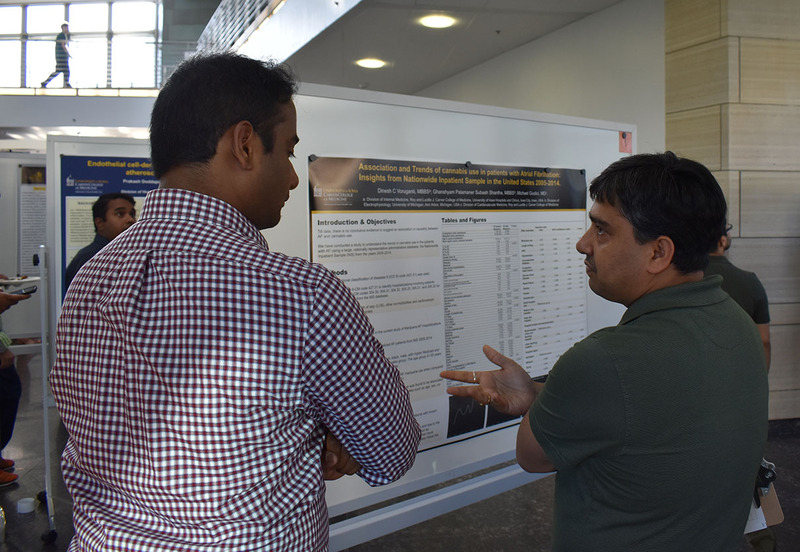 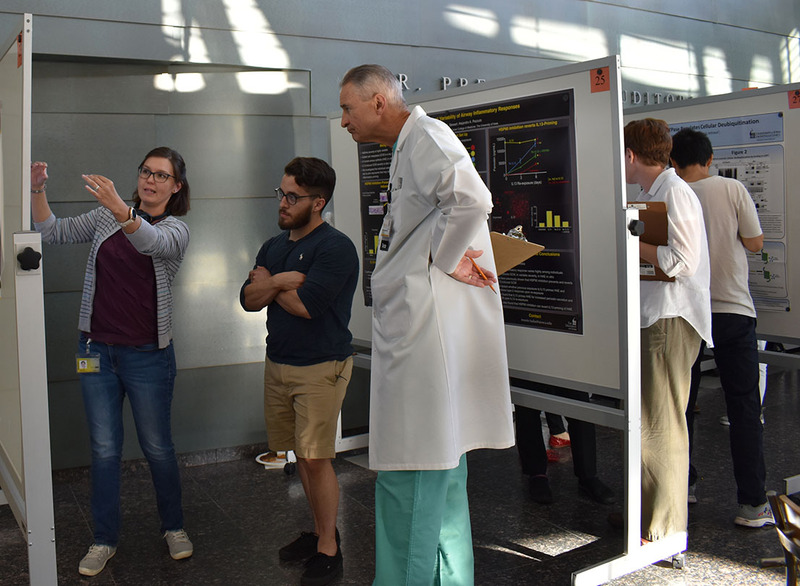 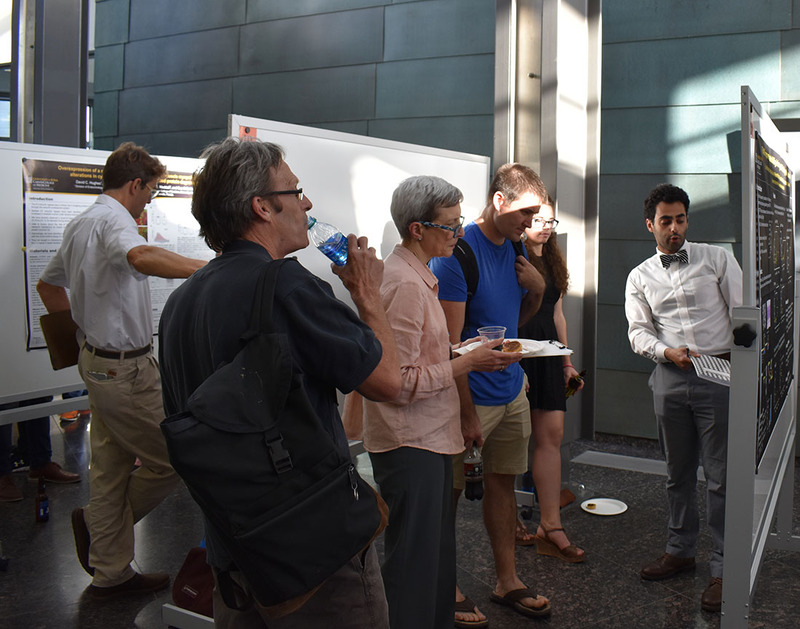 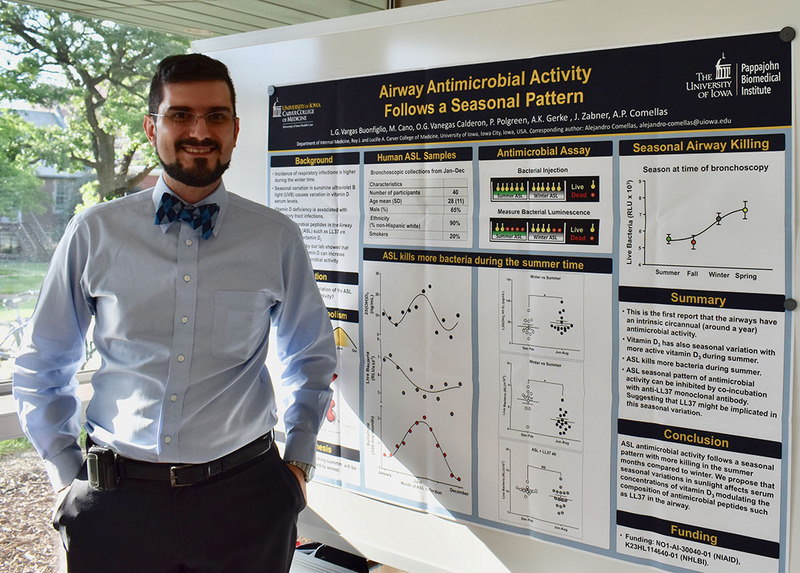 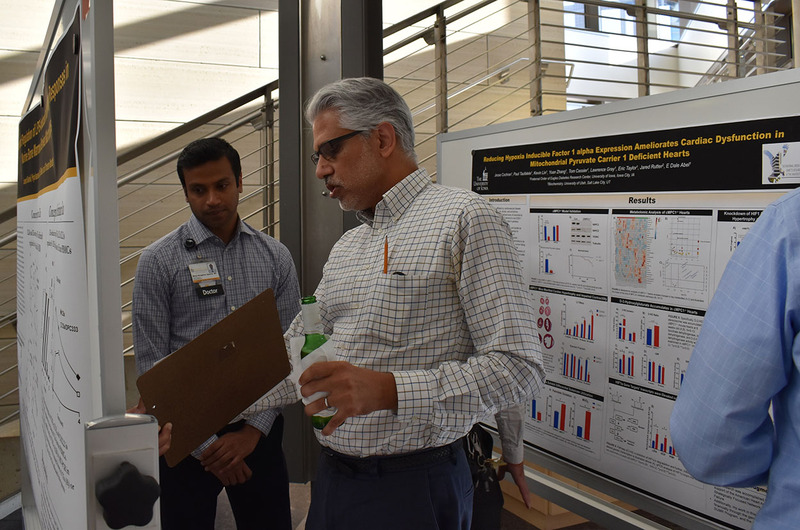 Thanks to the many faculty members who served as judges of this year’s poster session. 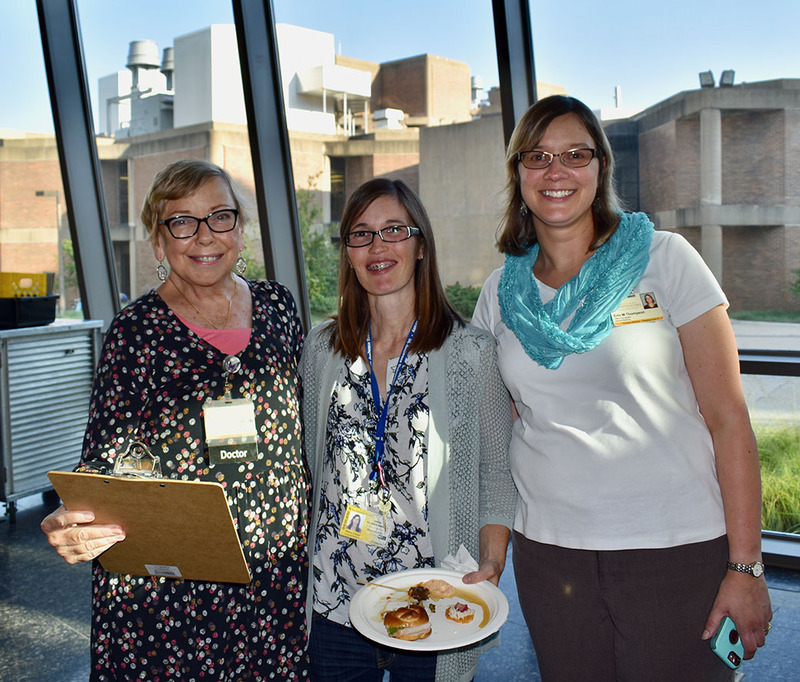 Special thanks as well to Erin Thompson, Lori Strommer, Kris Greiner, Teresa Ruggle, Ellen Struzynski, and Shawn Roach for all their work behind the scenes ensuring a seamless afternoon and evening took place.